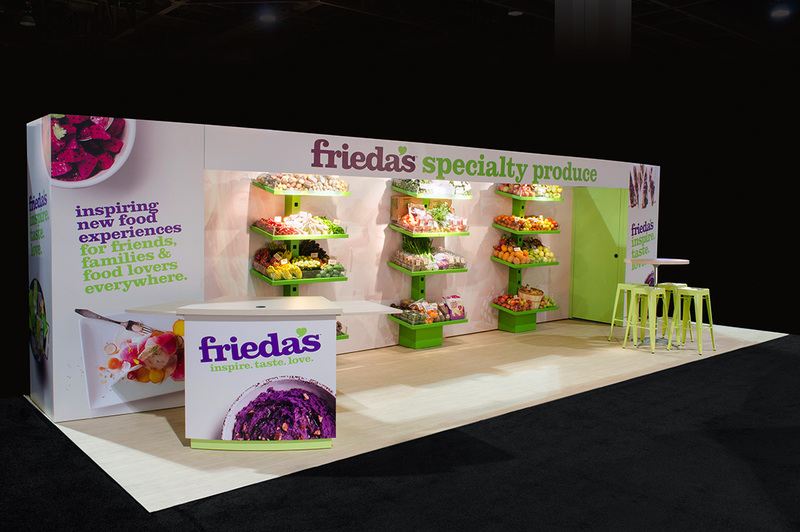 Well utilized space and clean design. 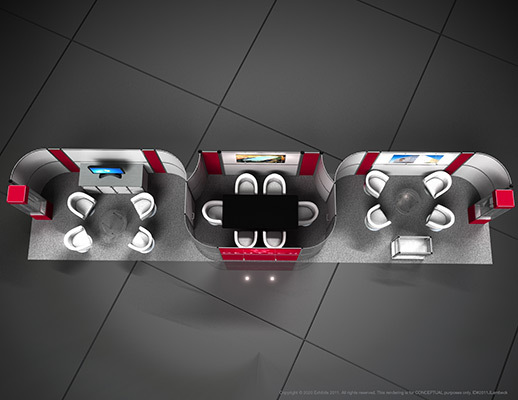 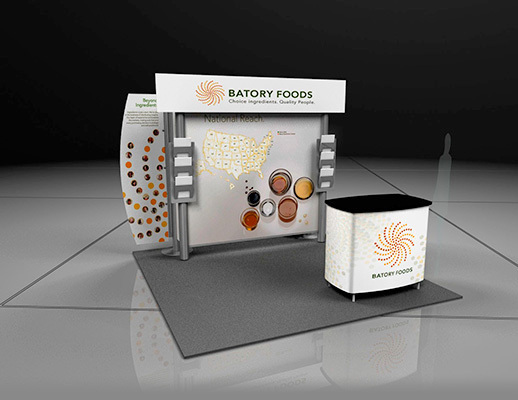 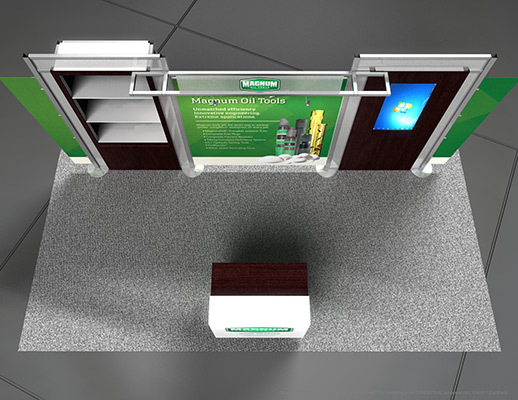 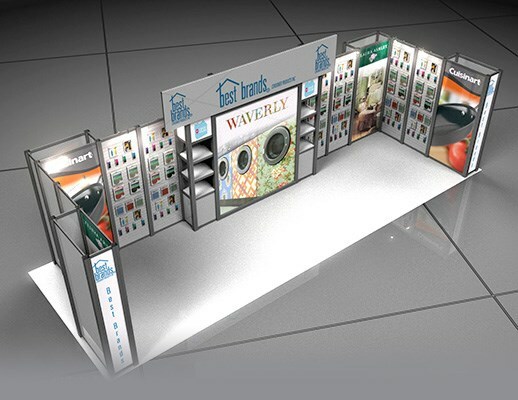 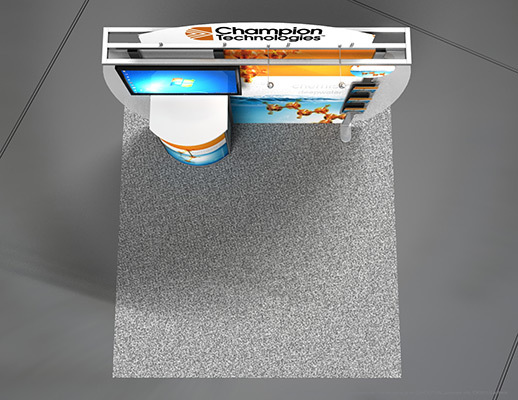 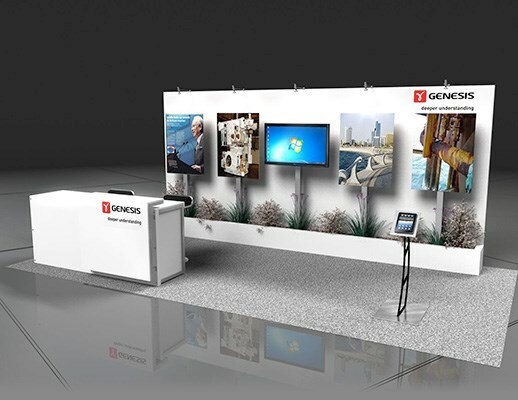 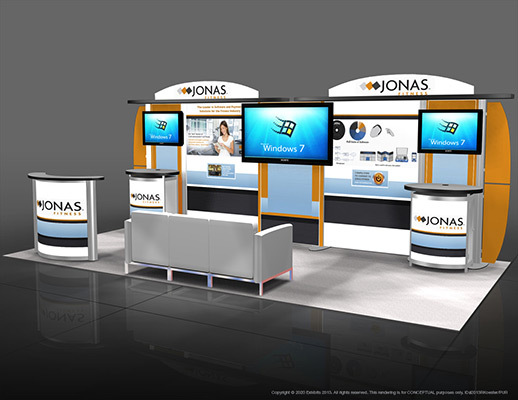 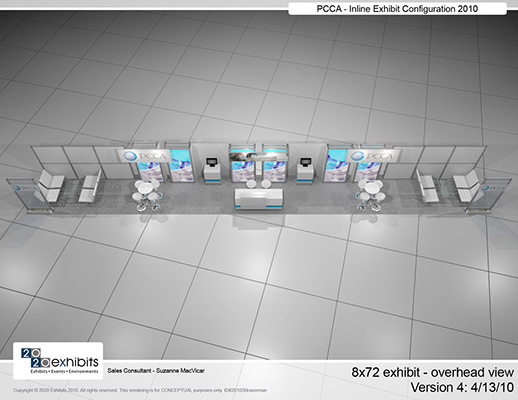 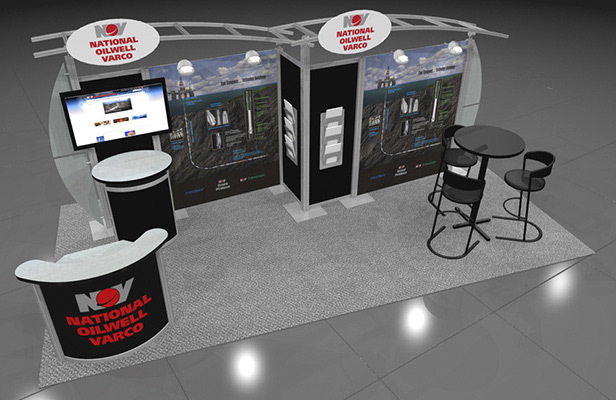 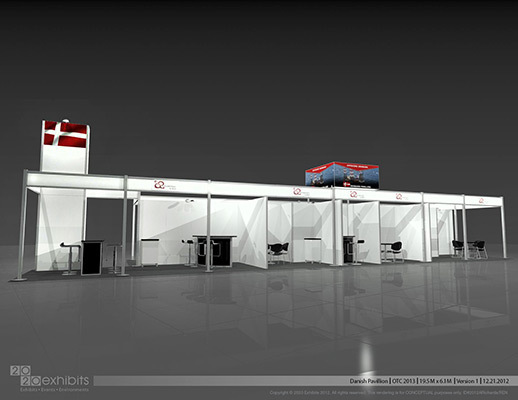 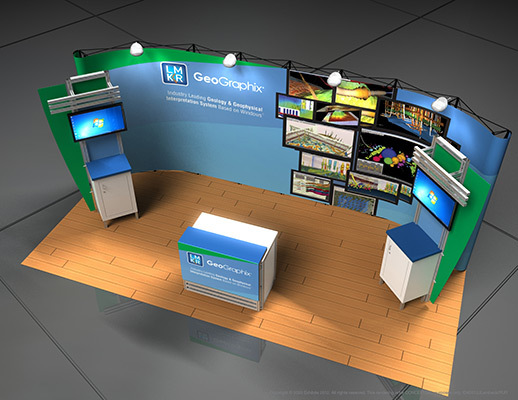 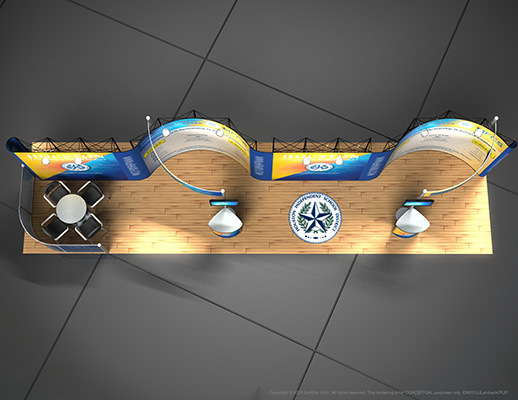 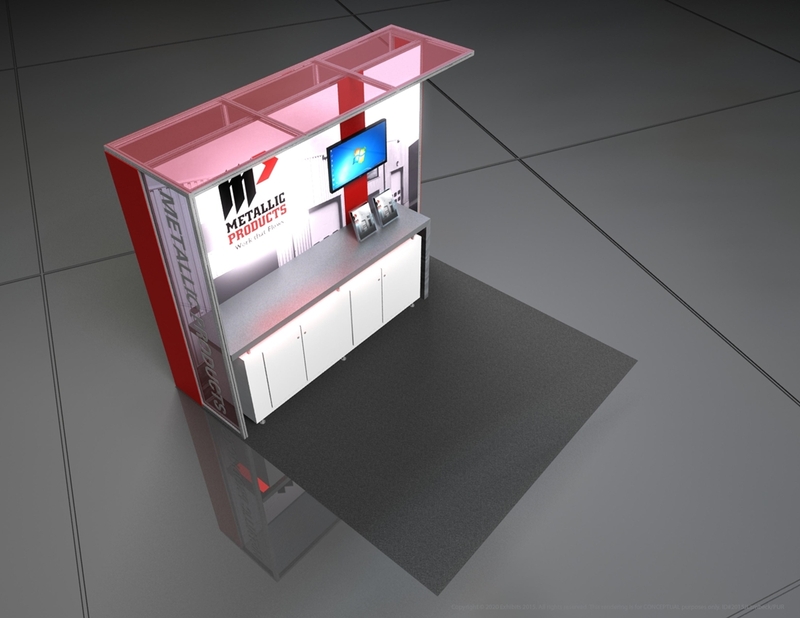 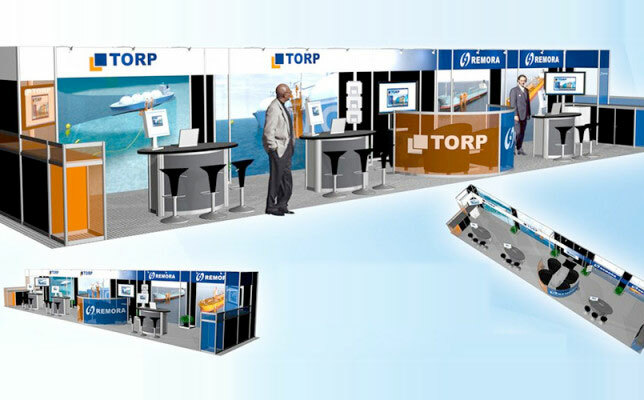 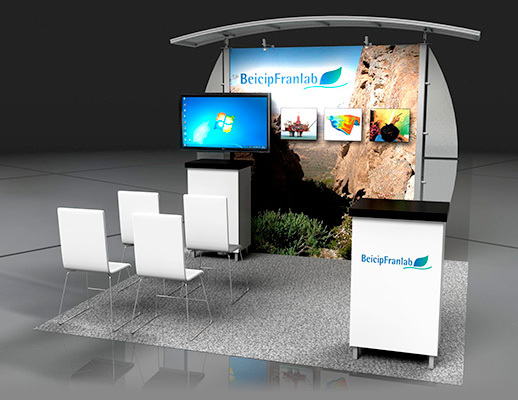 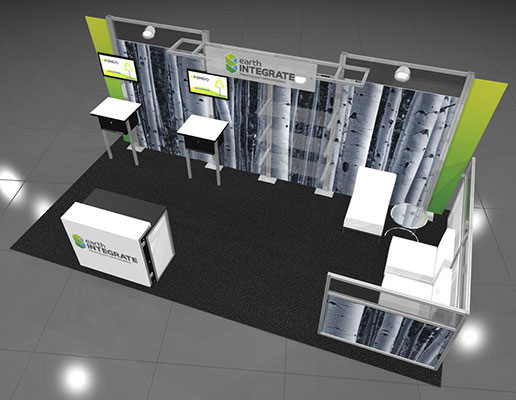 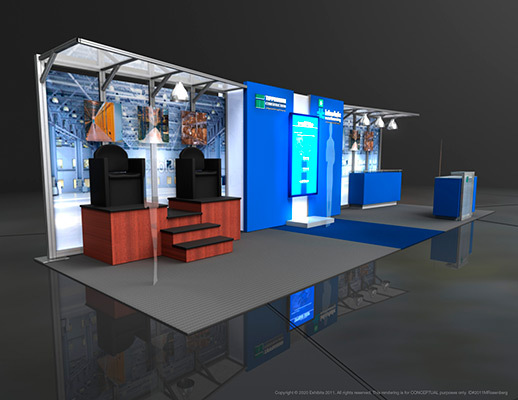 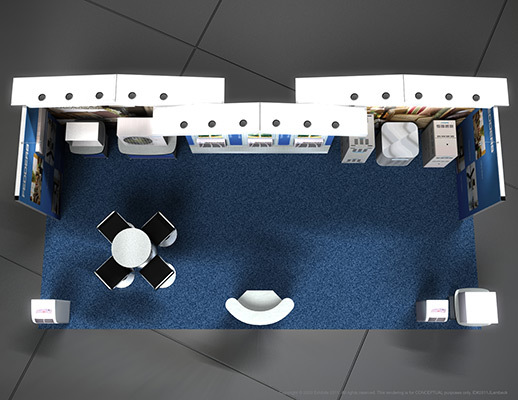 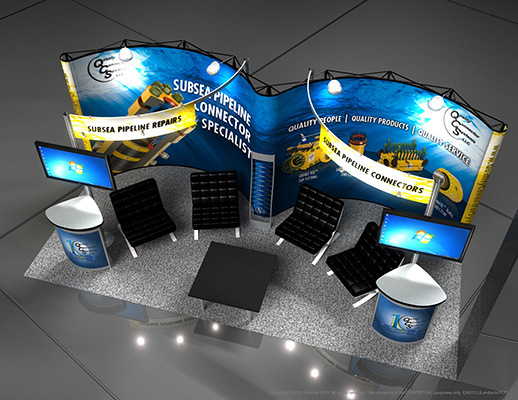 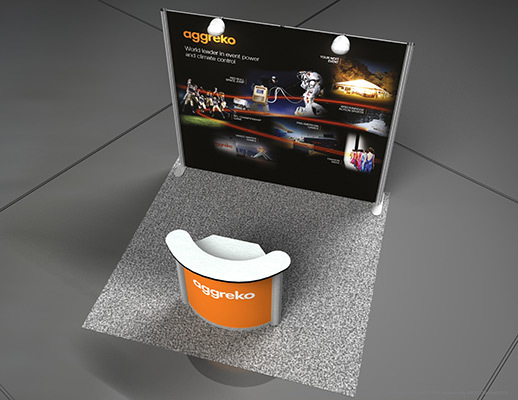 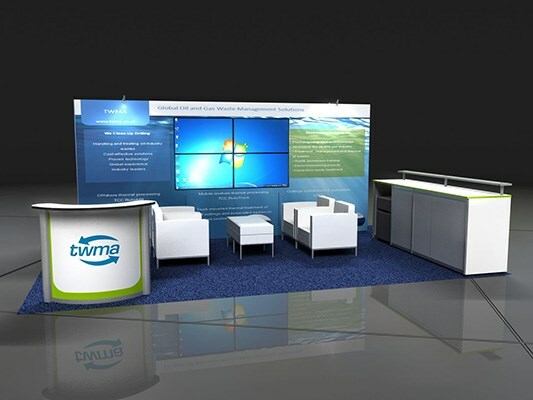 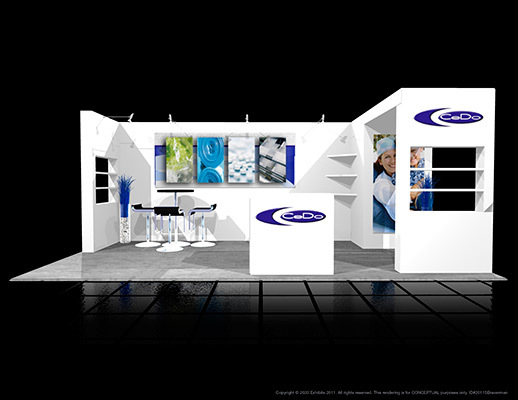 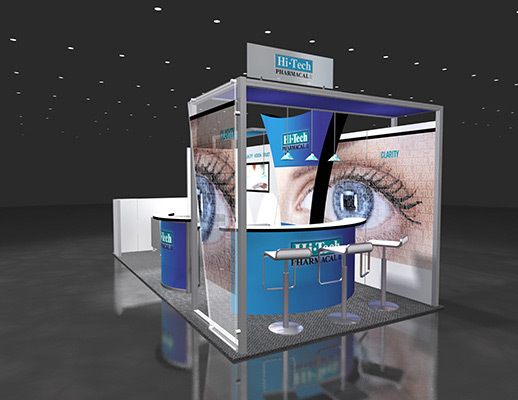 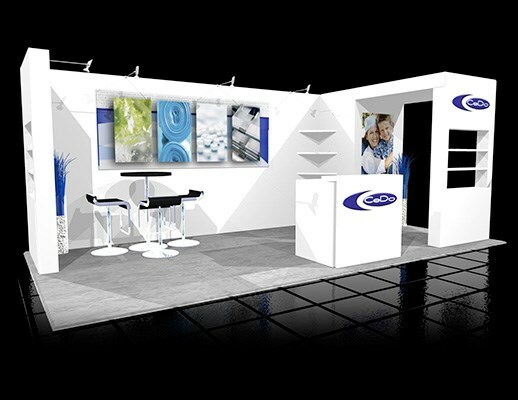 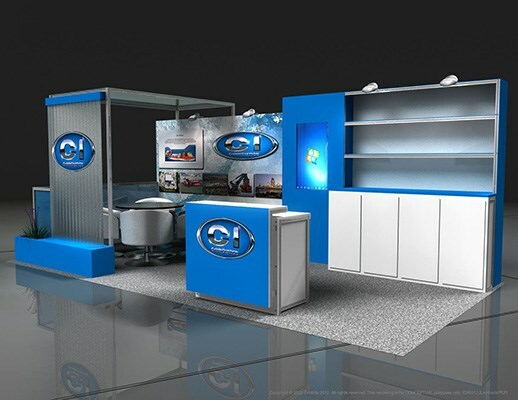 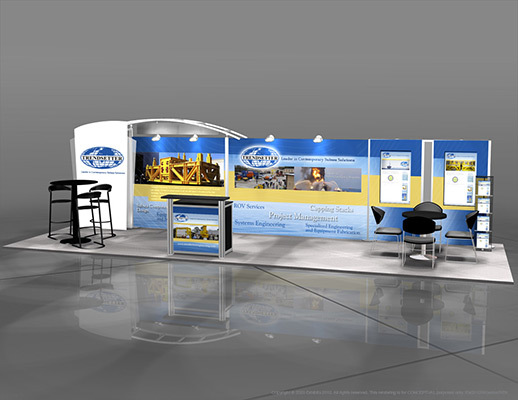 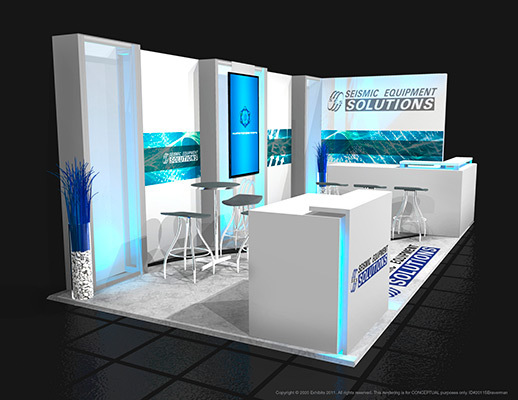 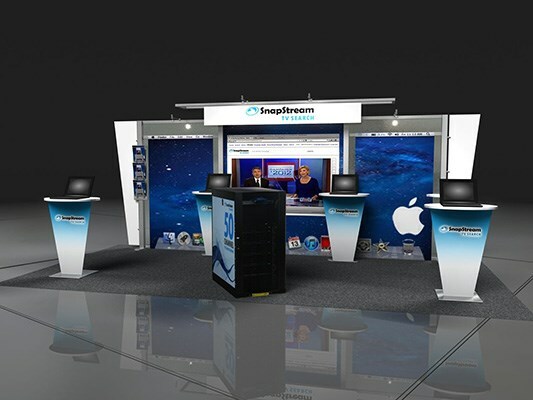 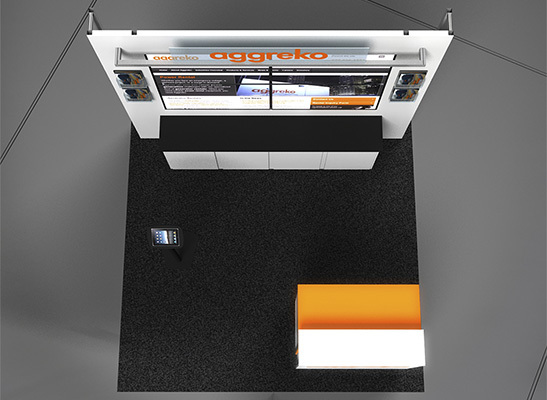 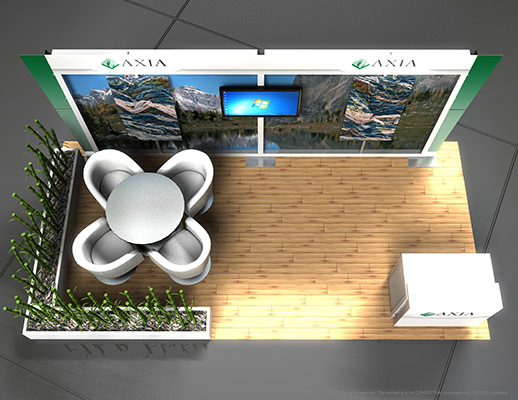 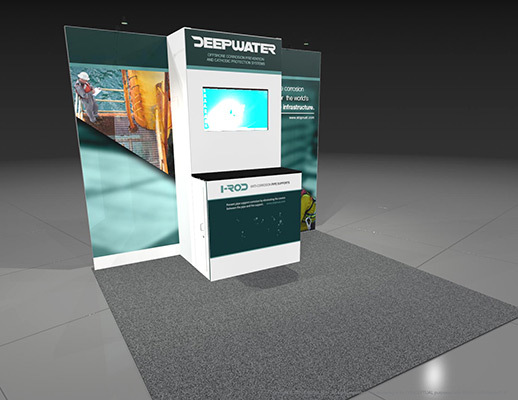 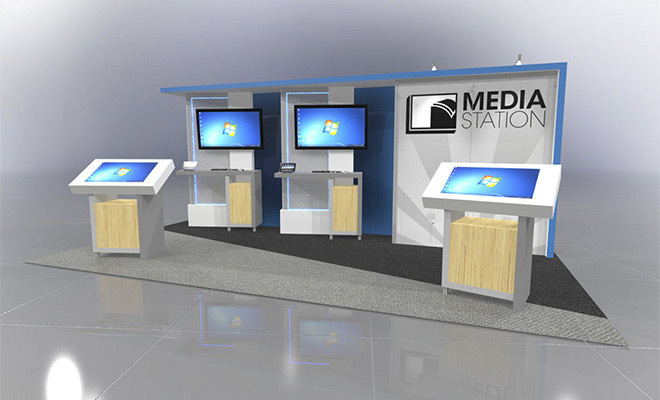 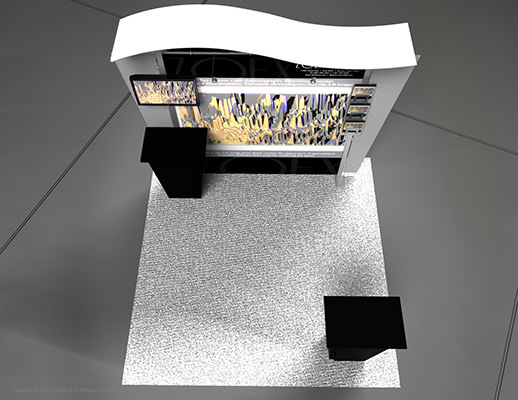 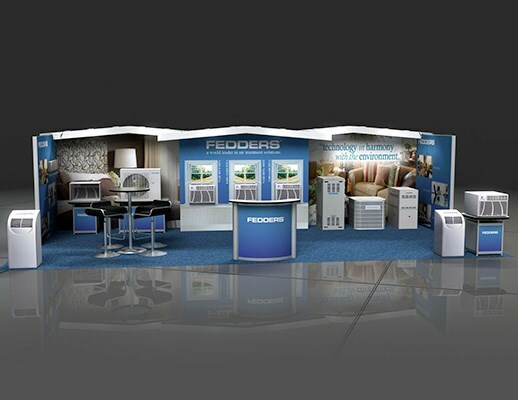 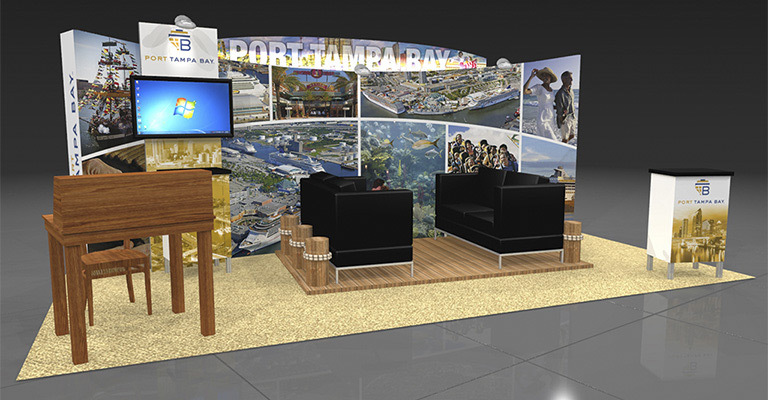 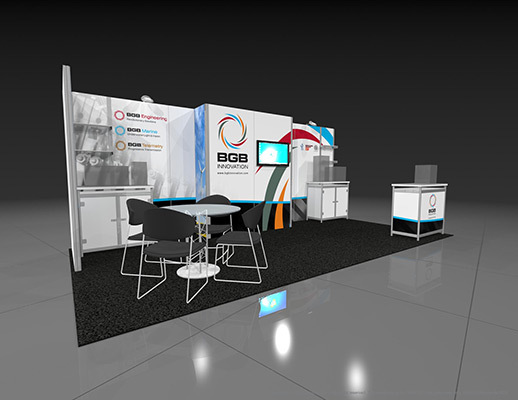 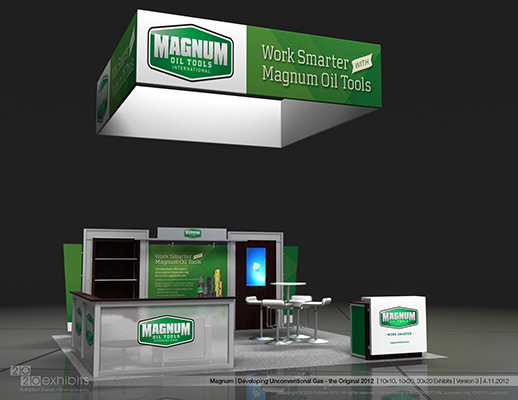 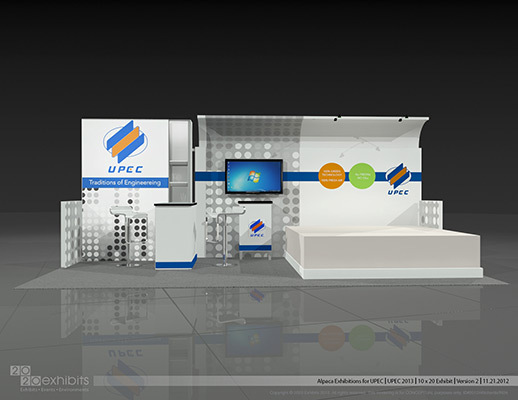 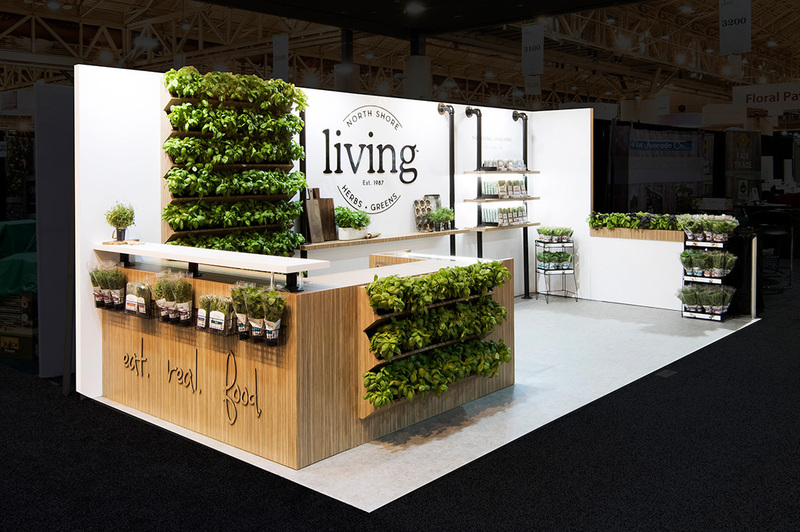 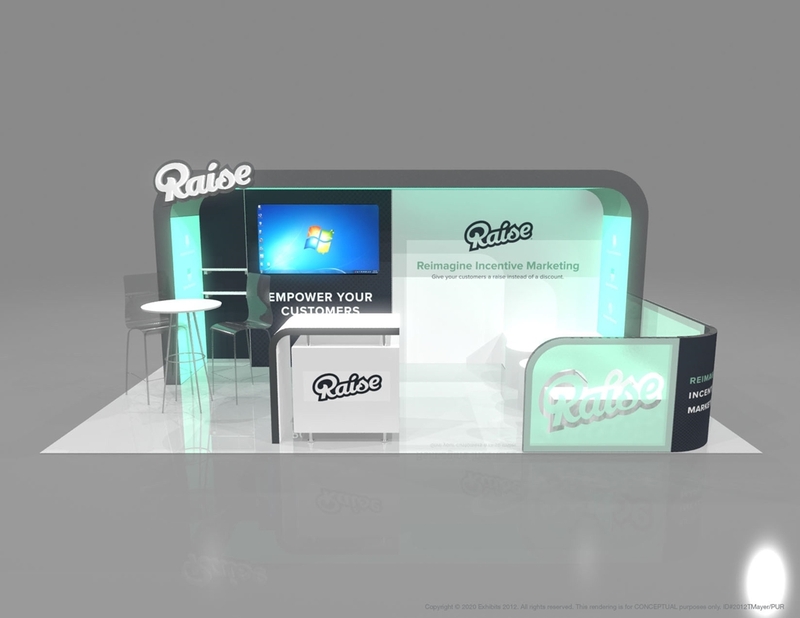 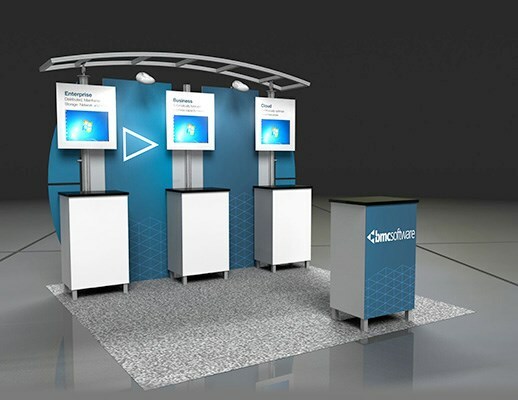 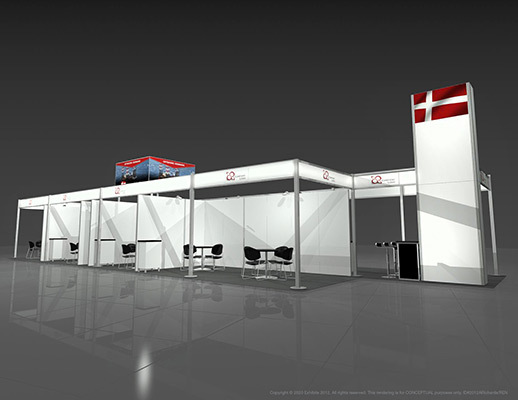 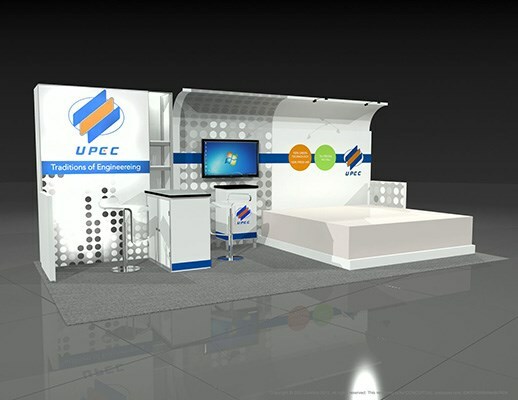 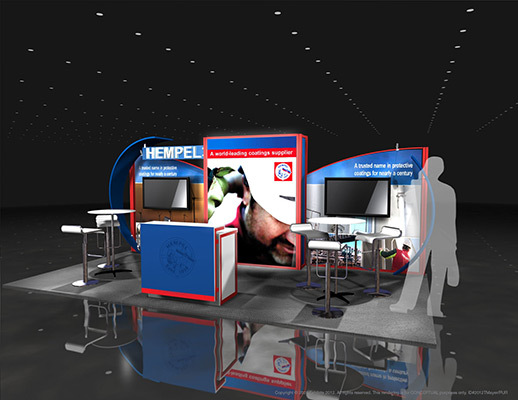 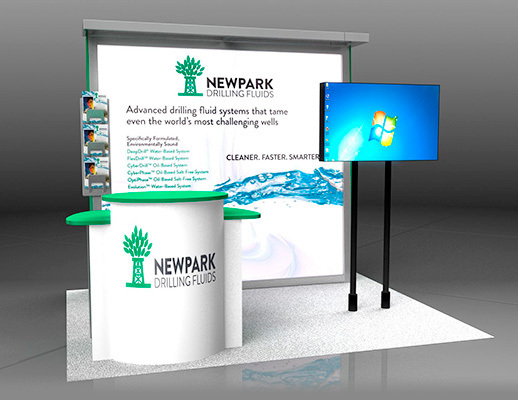 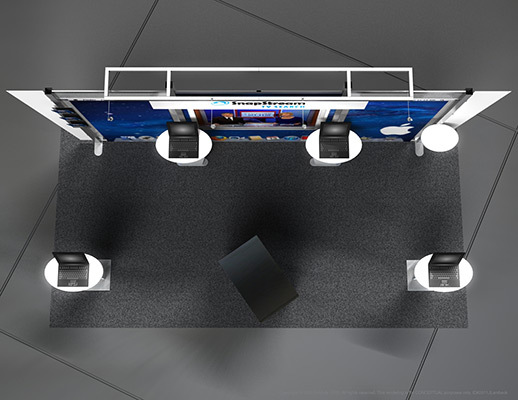 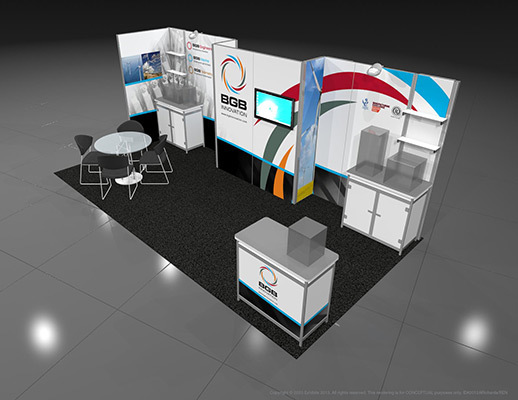 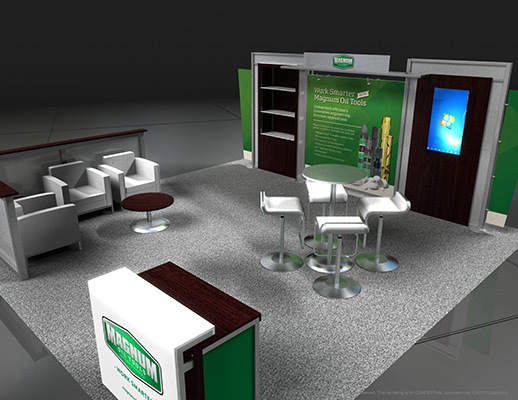 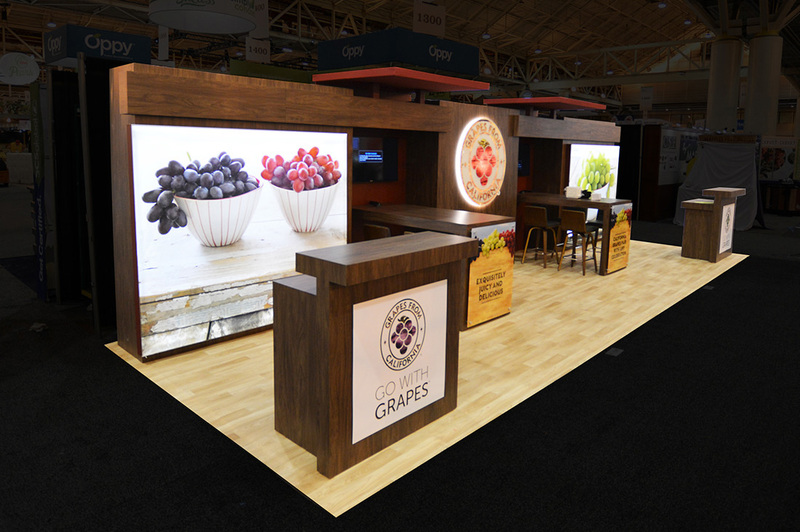 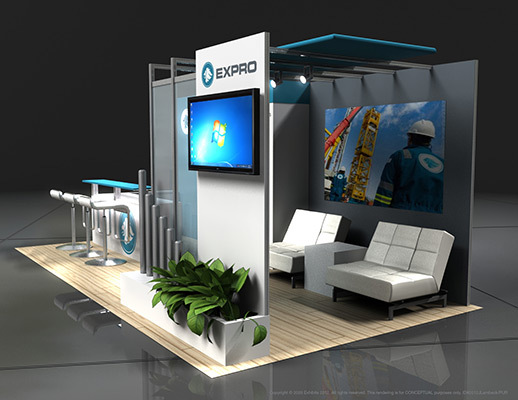 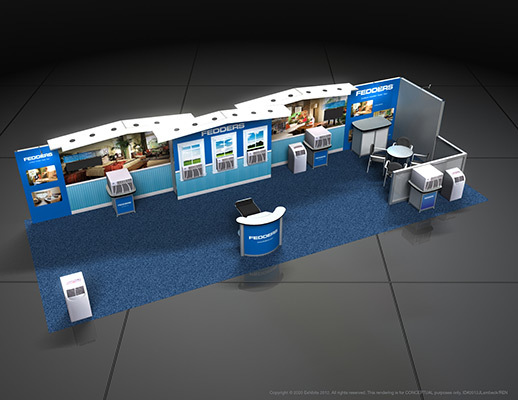 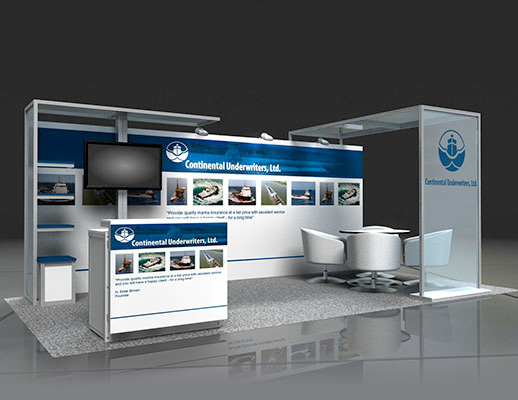 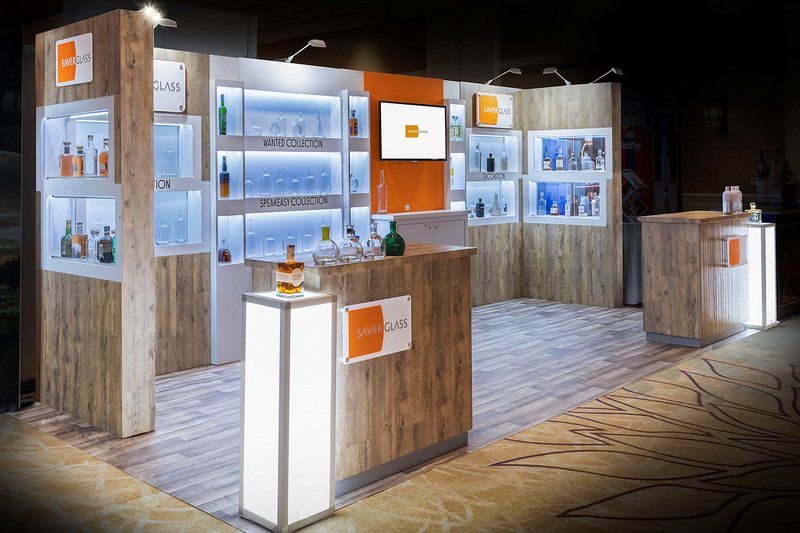 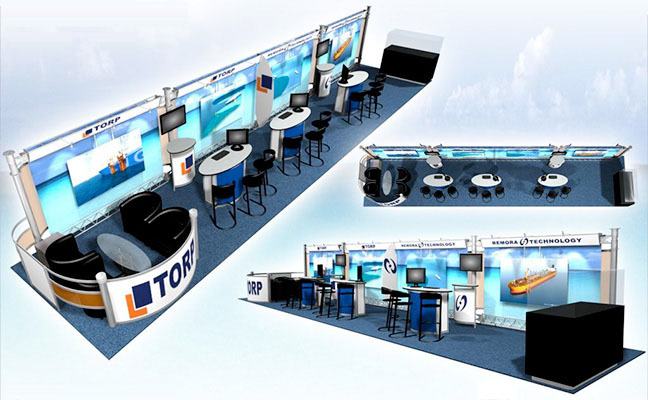 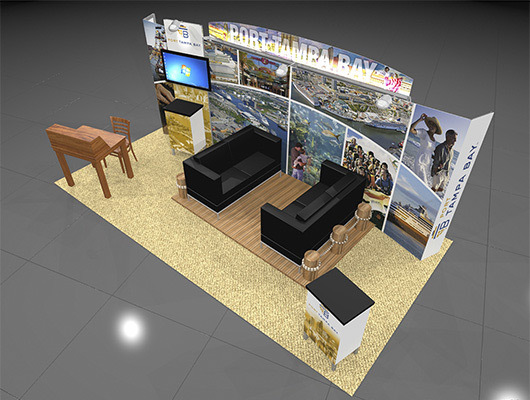 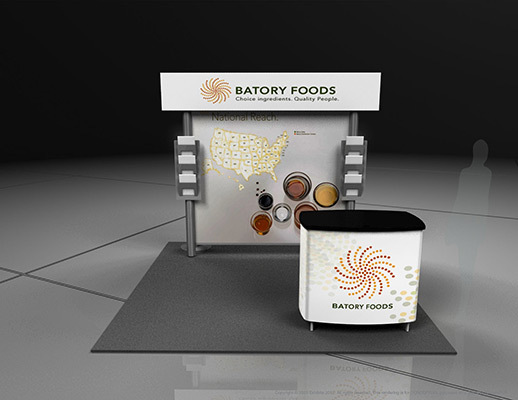 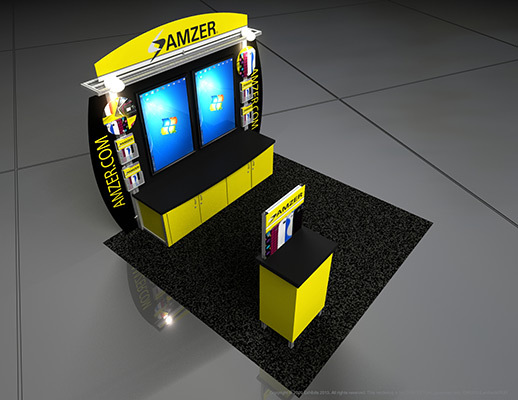 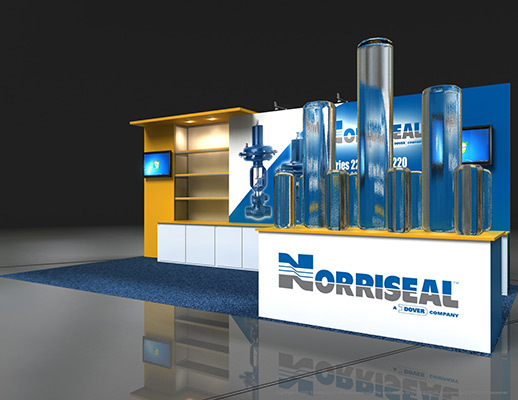 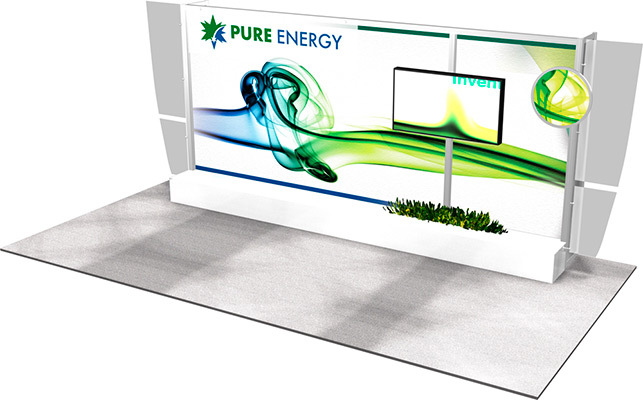 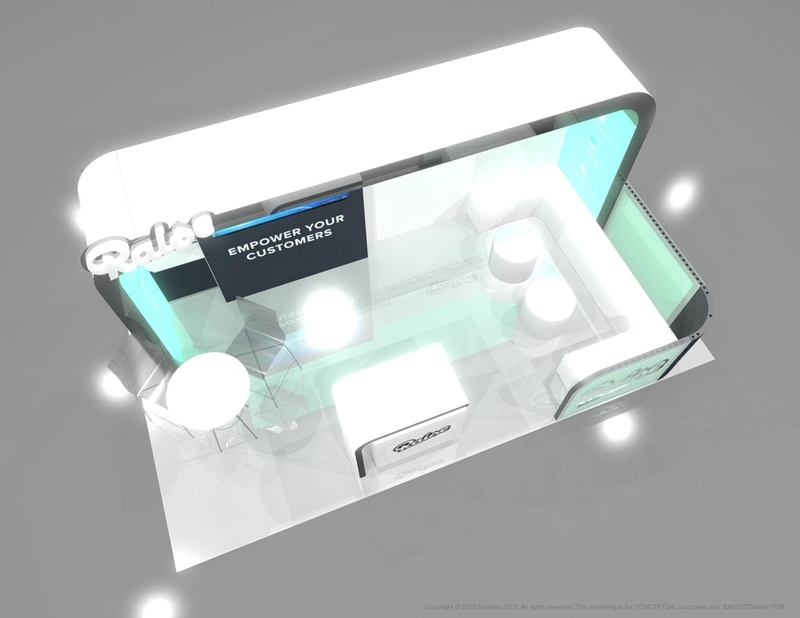 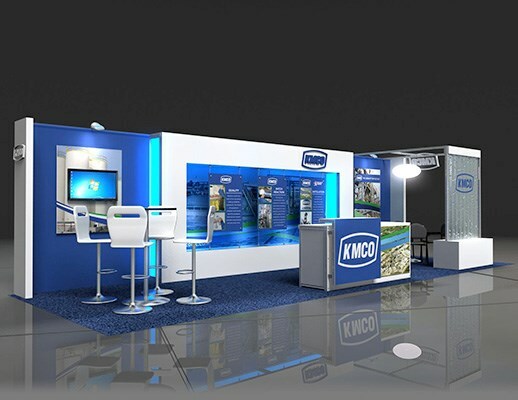 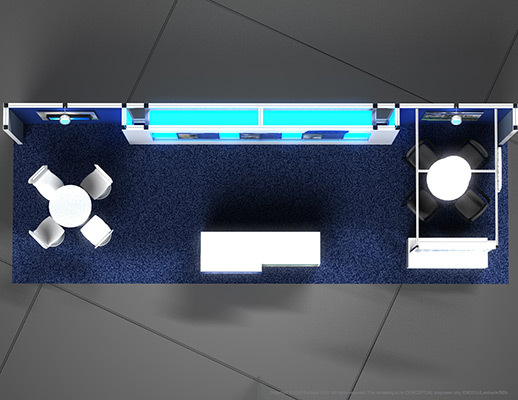 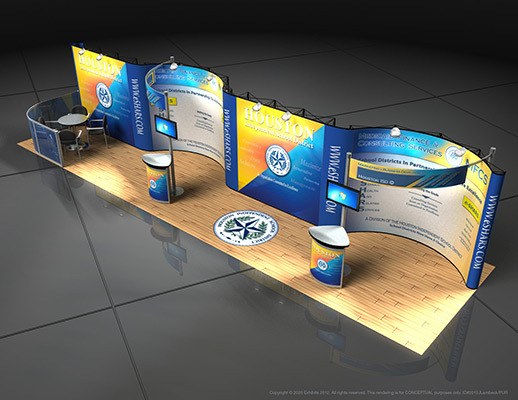 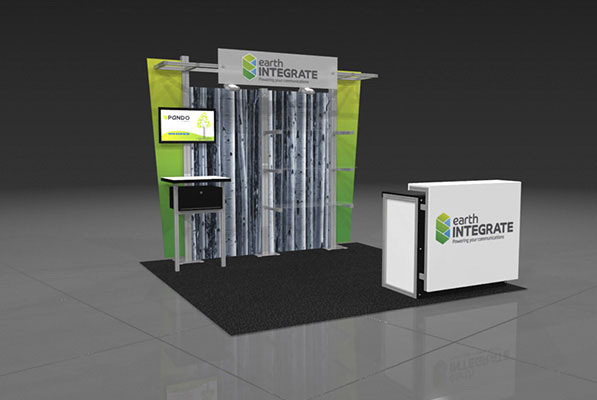 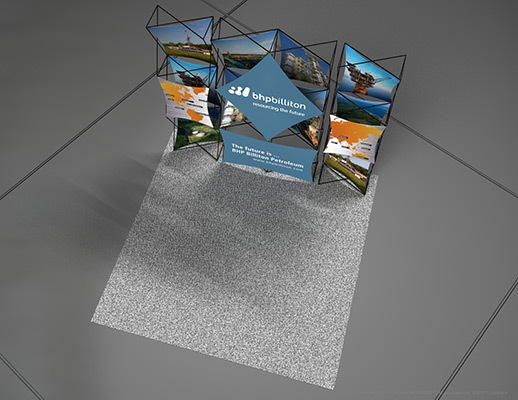 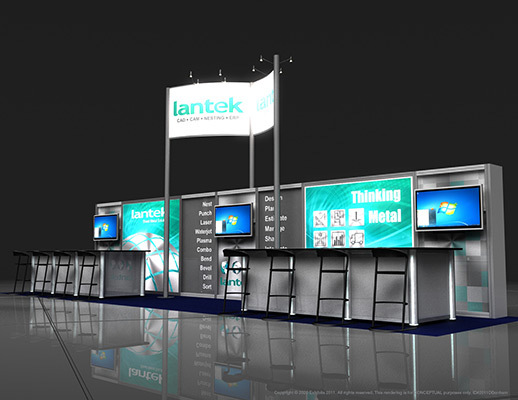 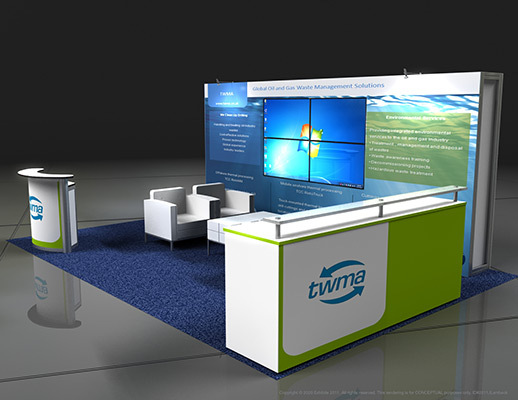 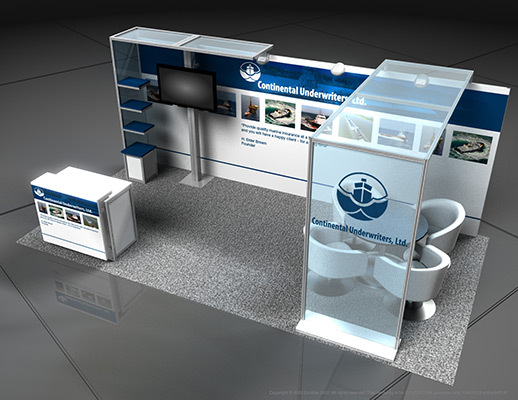 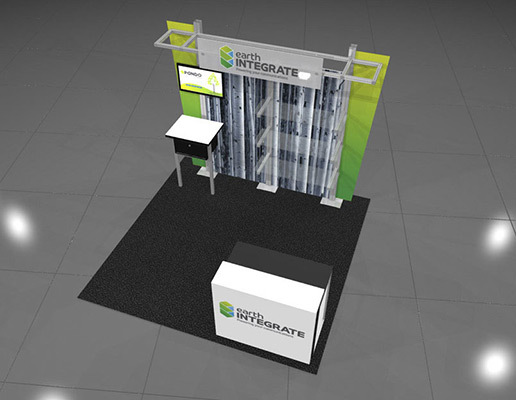 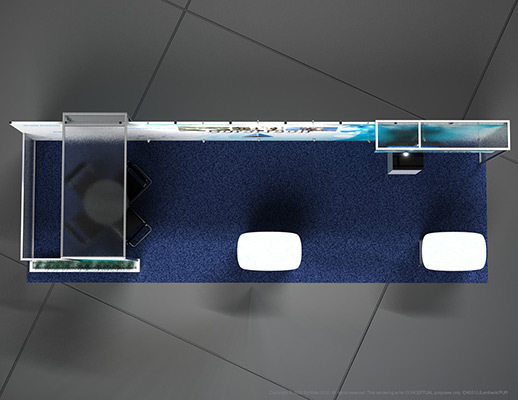 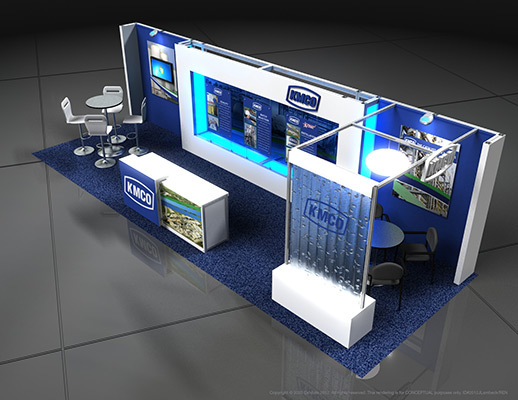 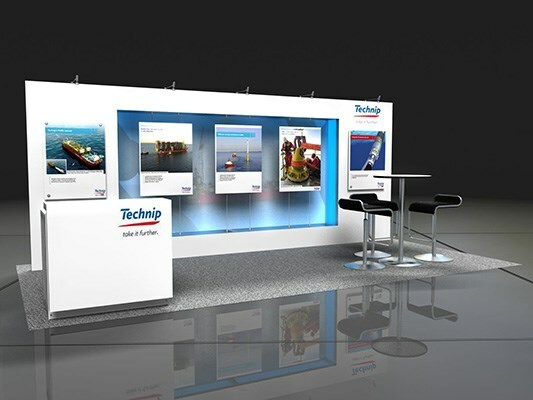 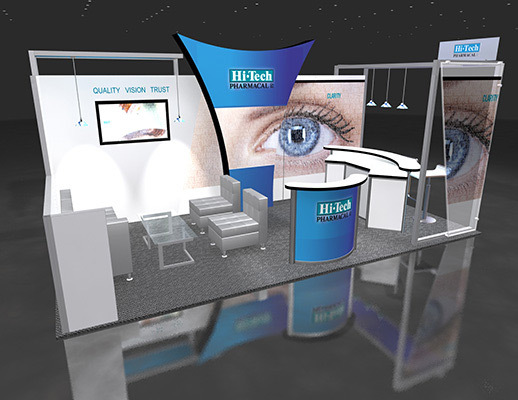 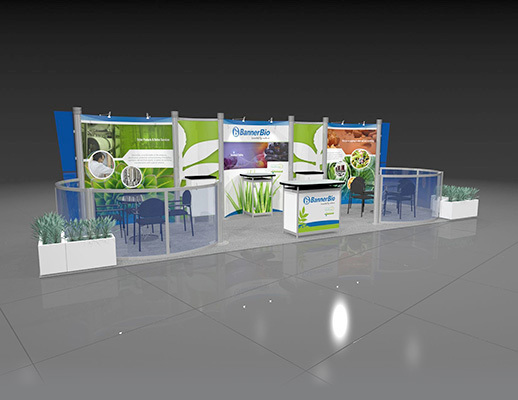 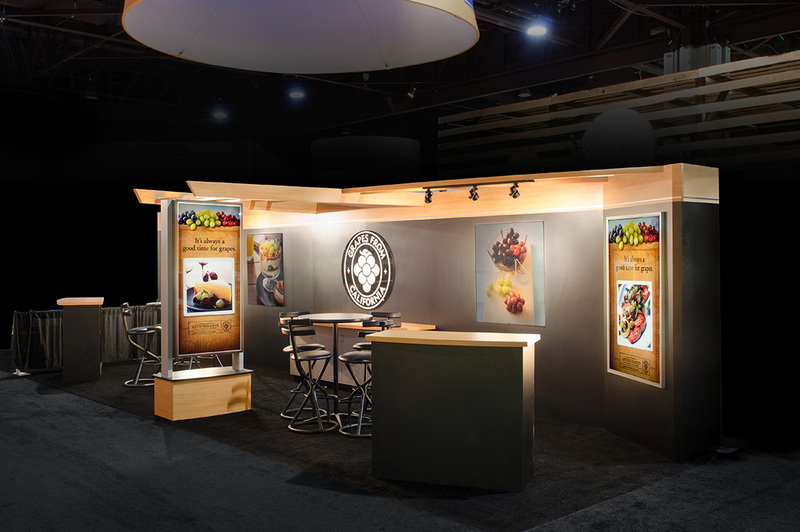 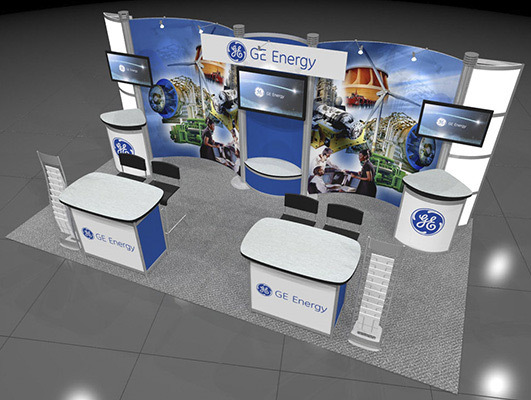 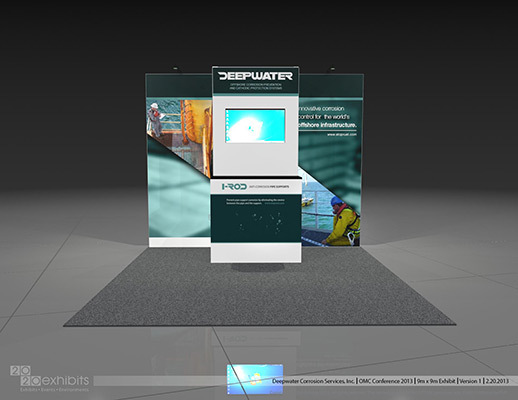 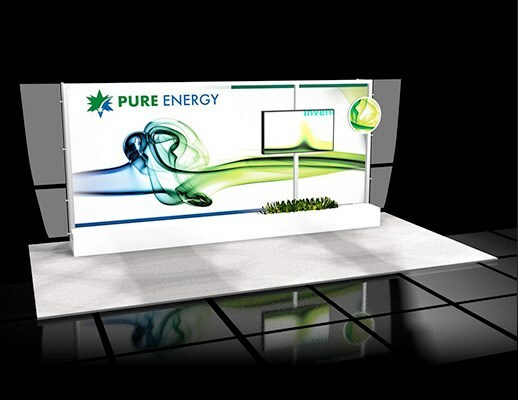 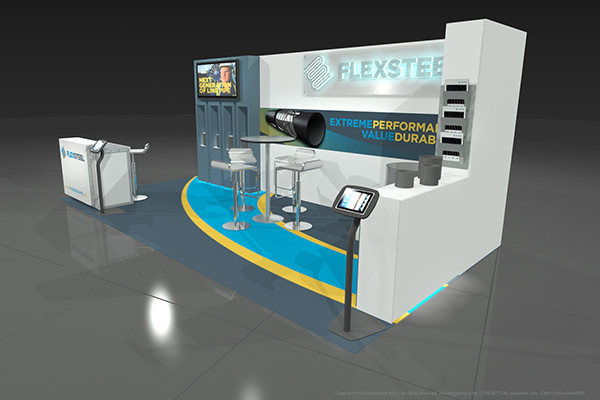 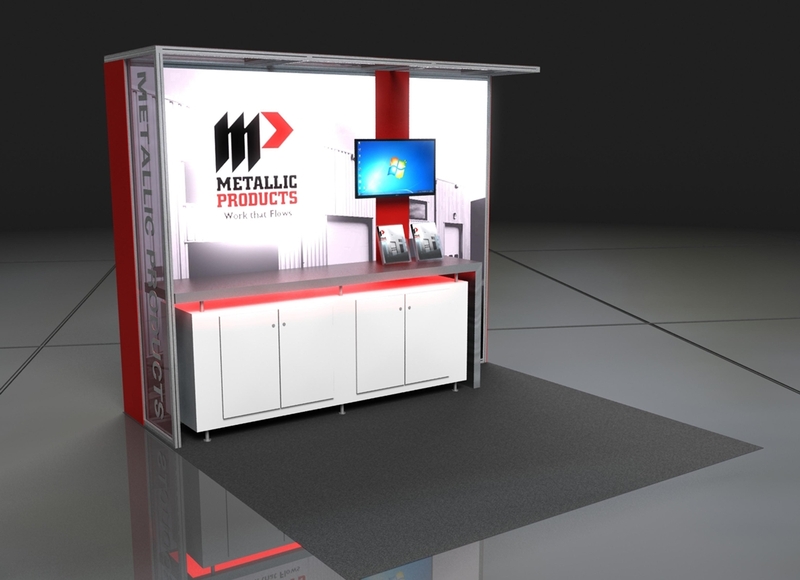 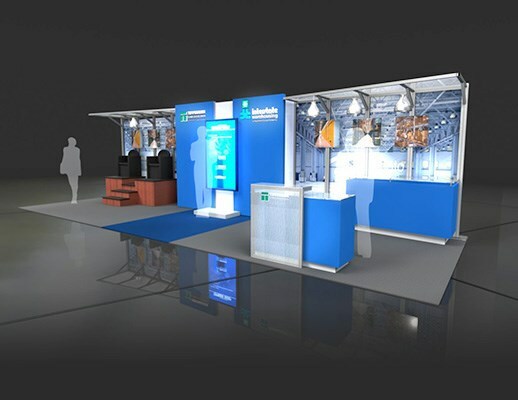 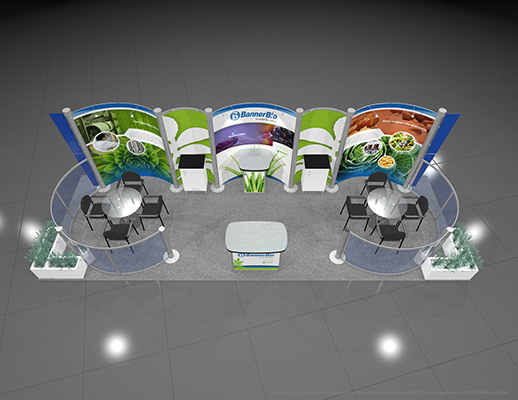 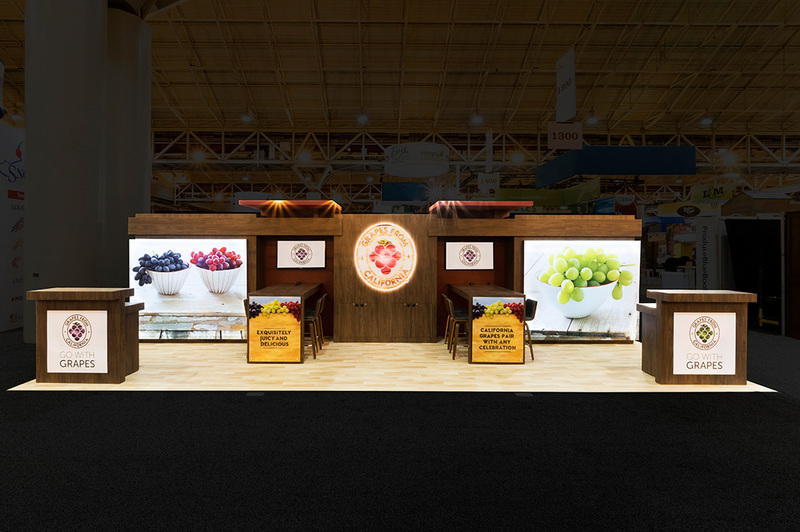 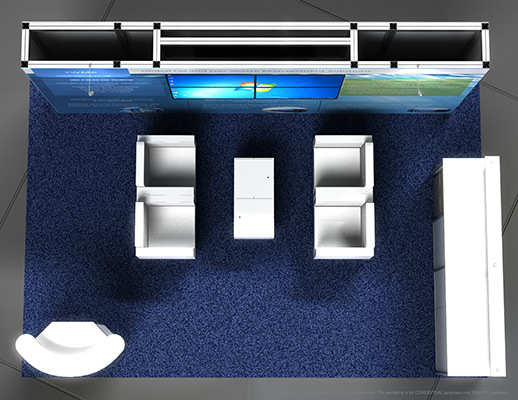 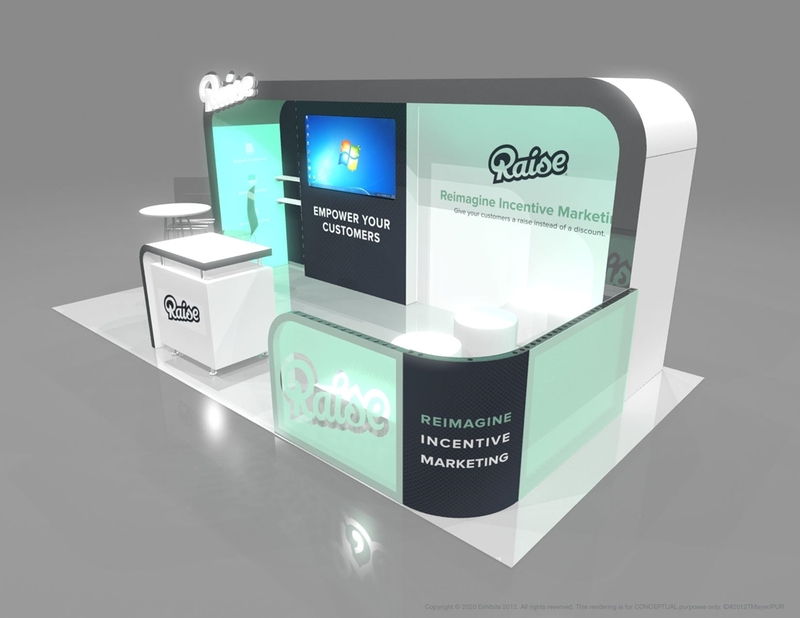 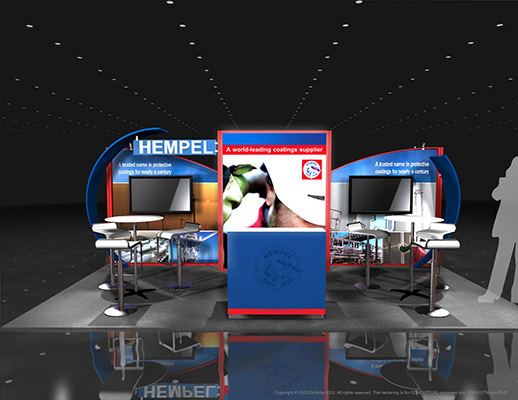 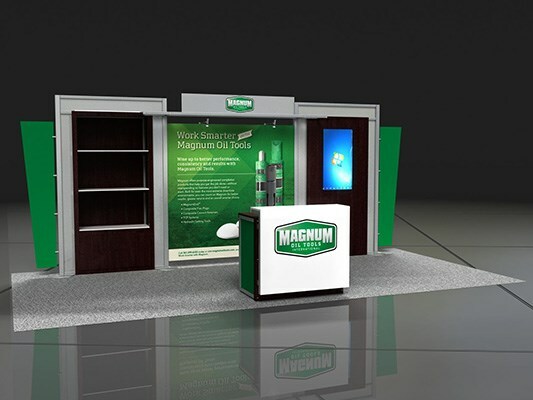 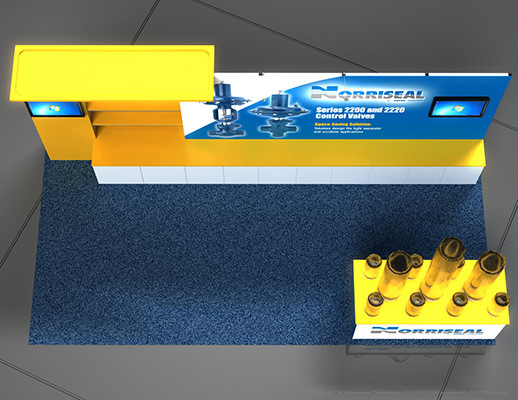 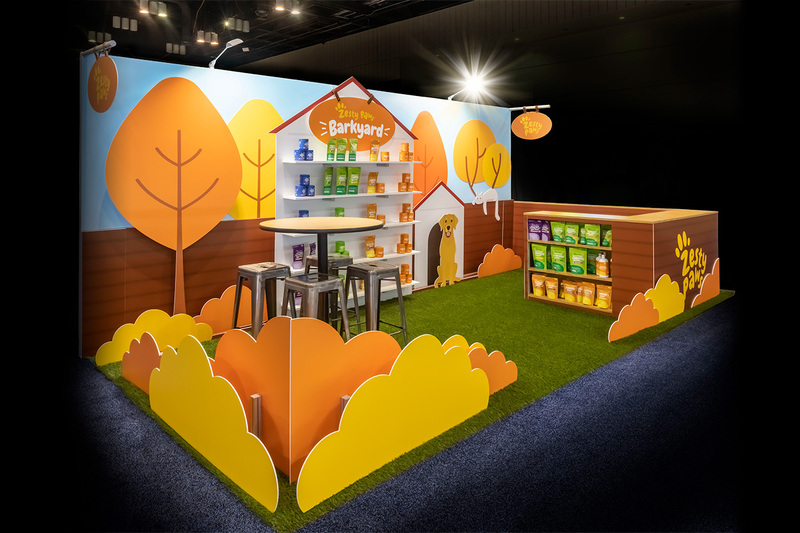 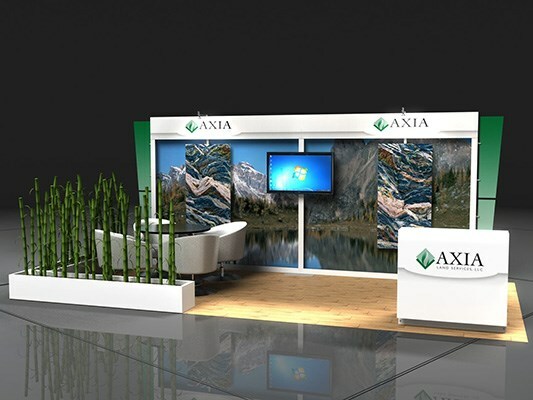 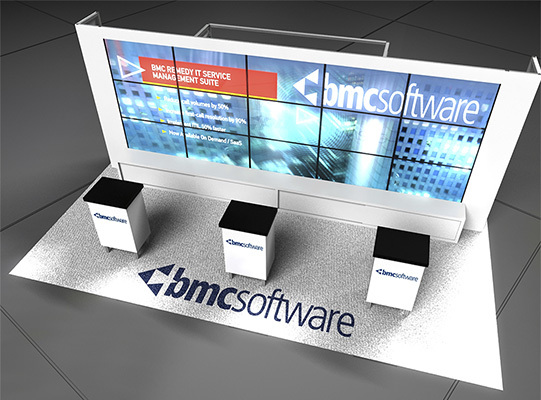 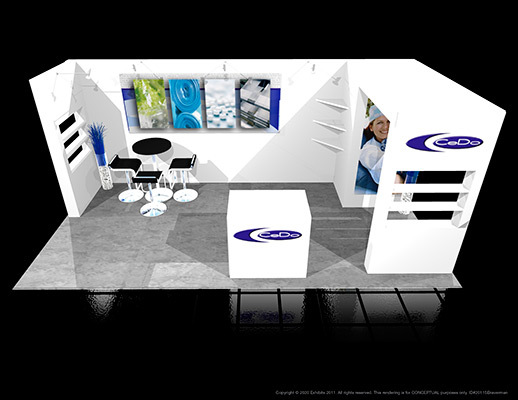 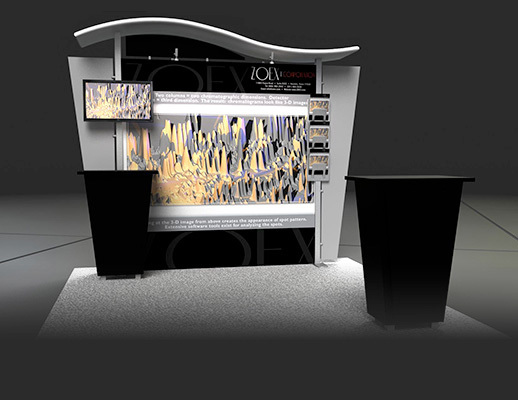 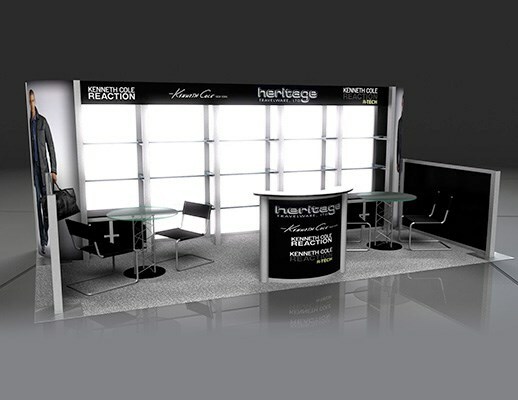 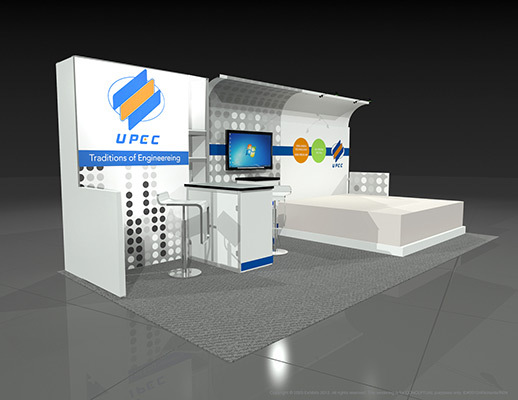 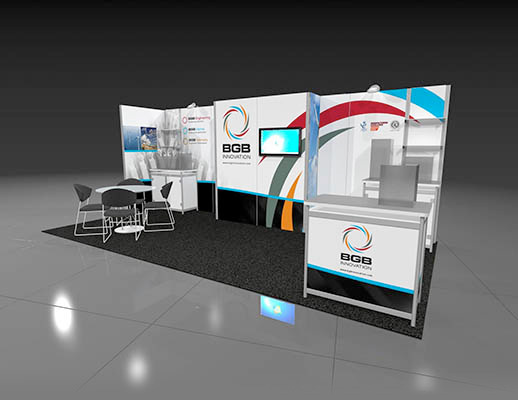 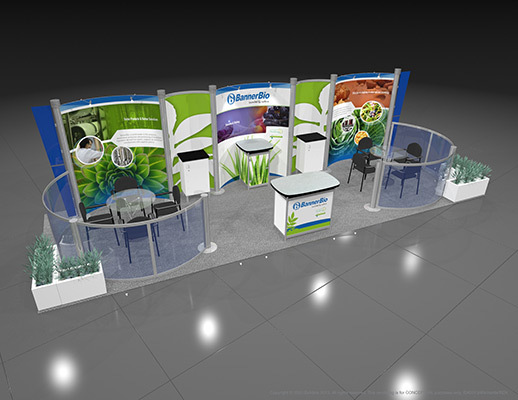 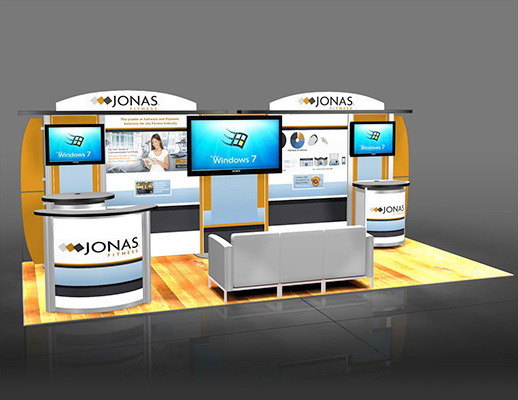 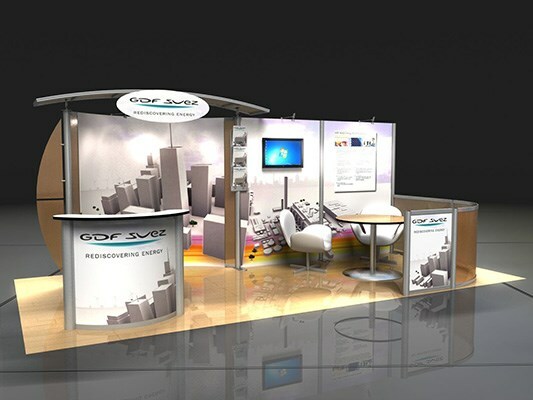 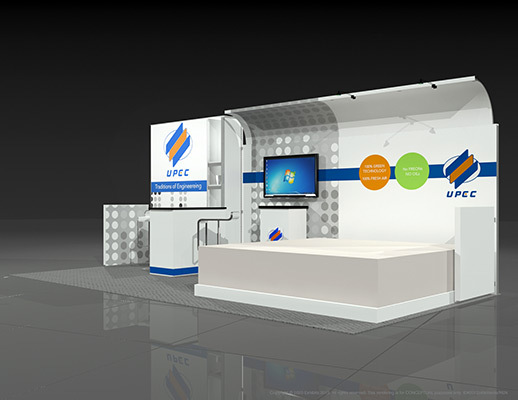 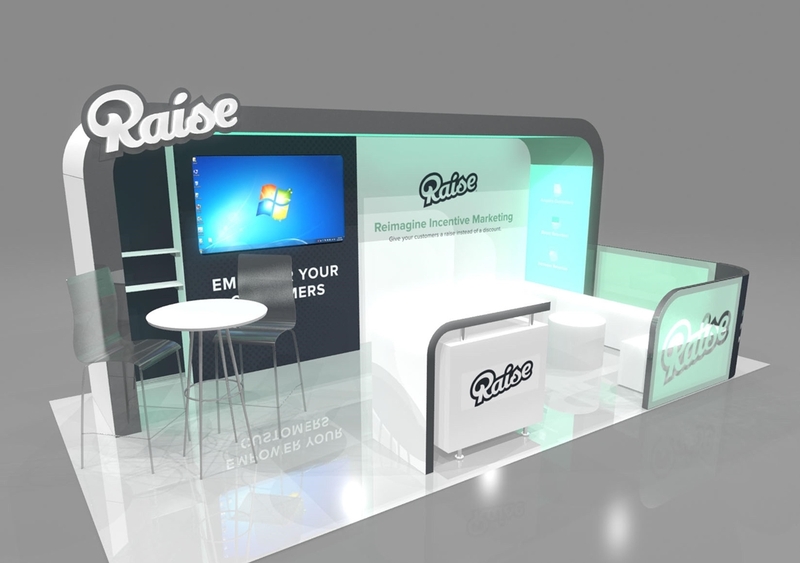 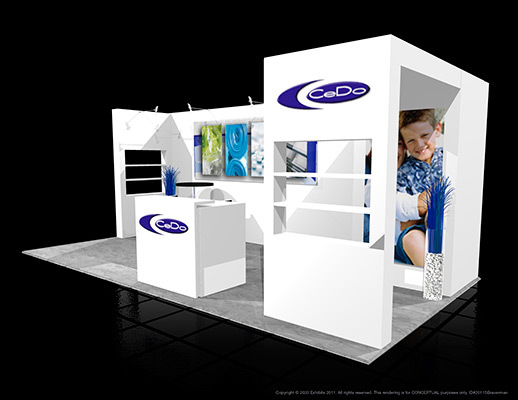 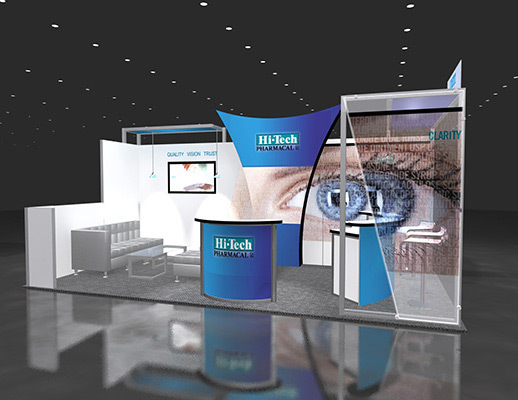 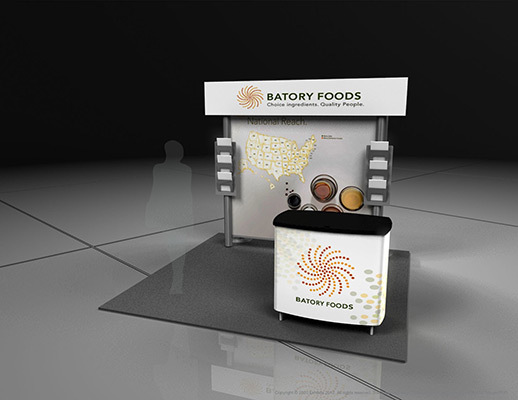 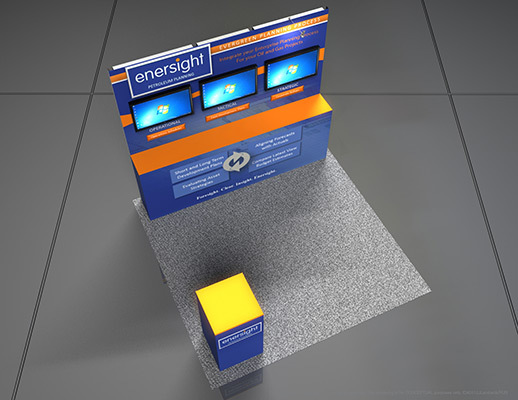 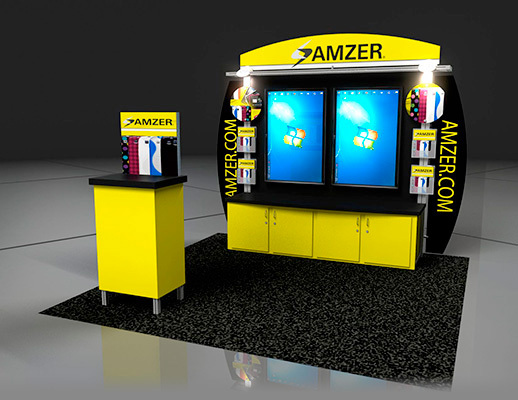 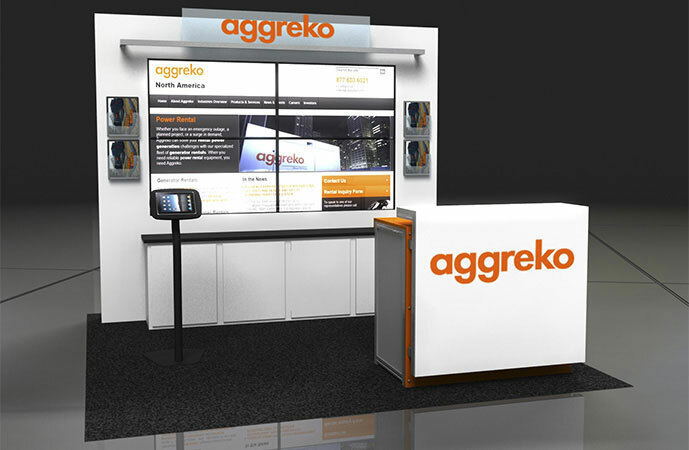 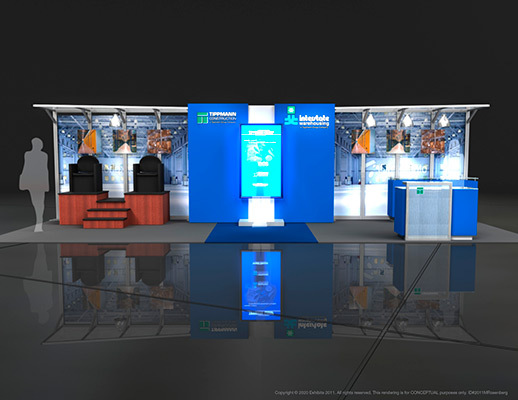 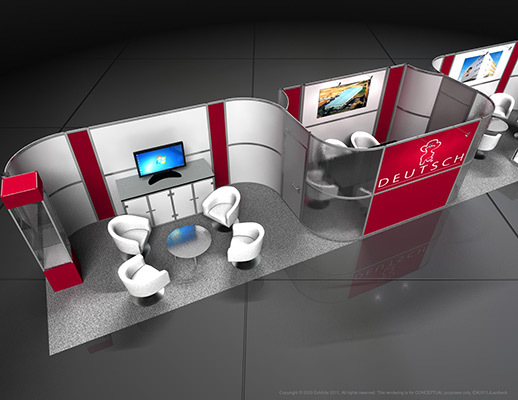 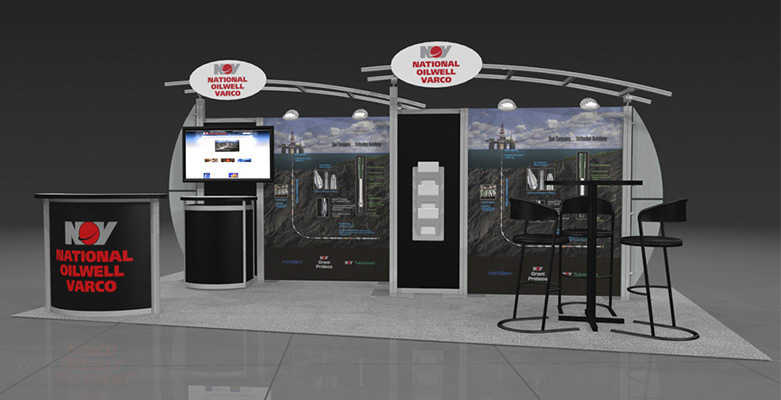 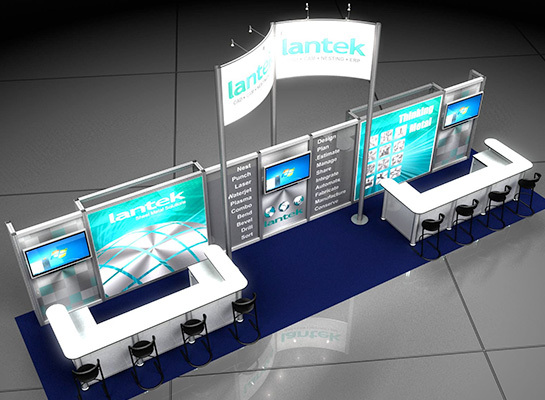 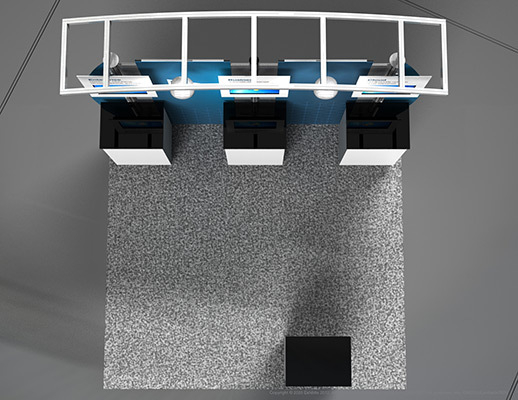 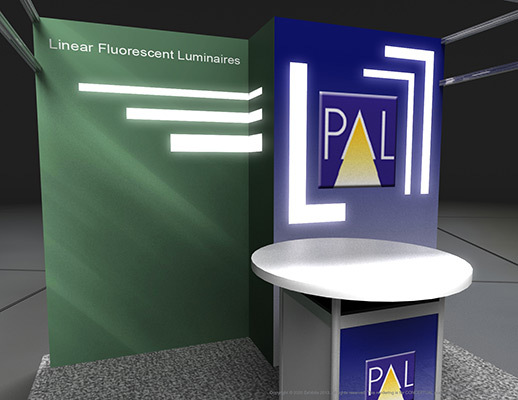 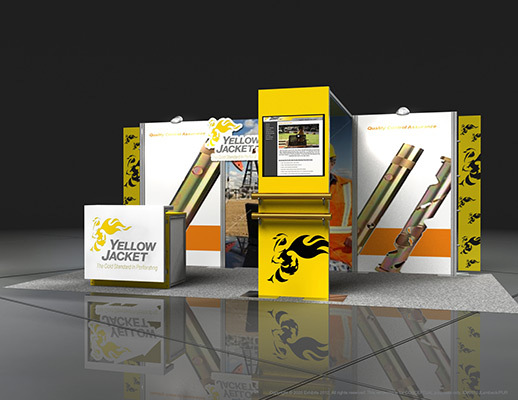 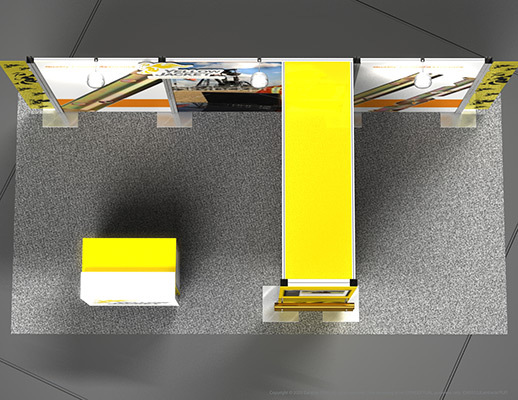 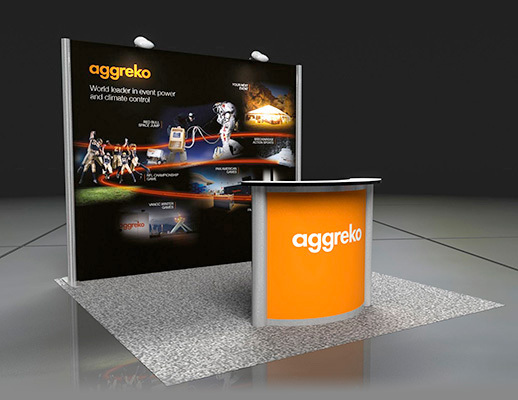 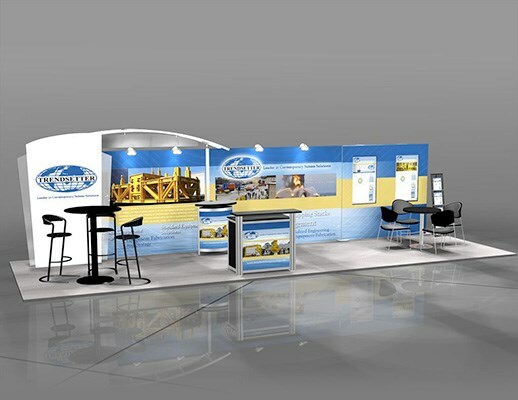 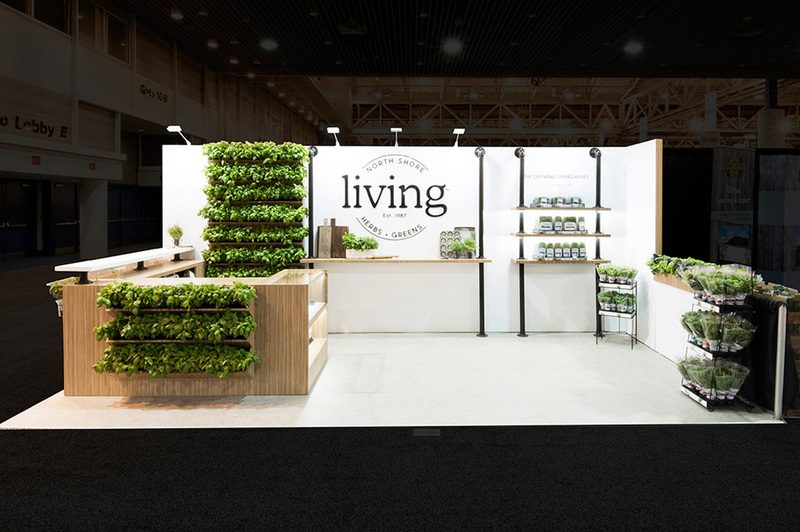 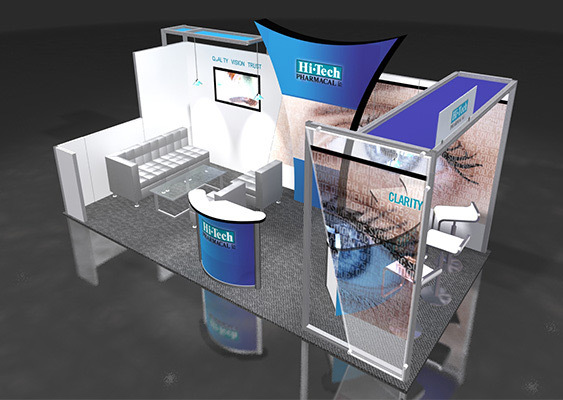 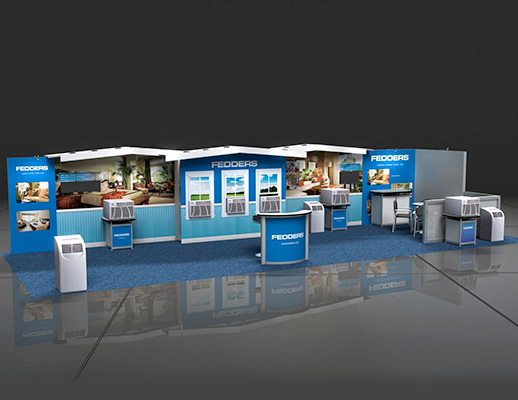 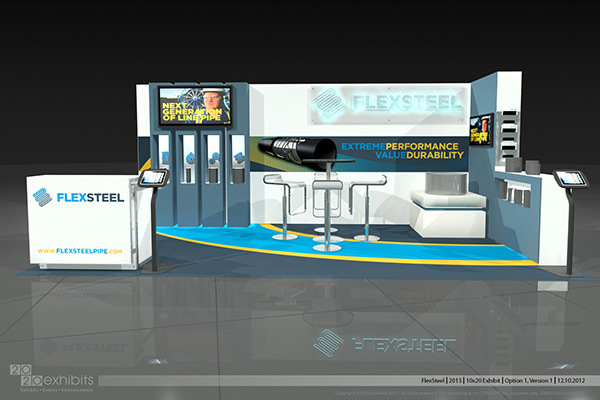 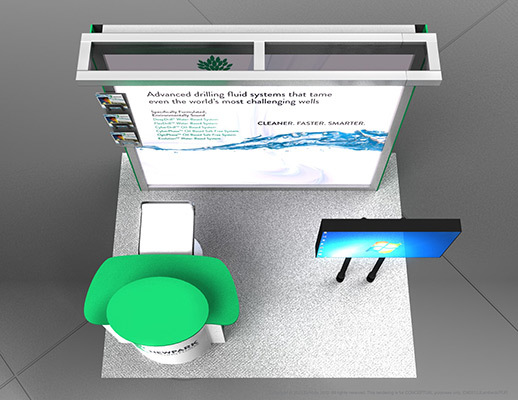 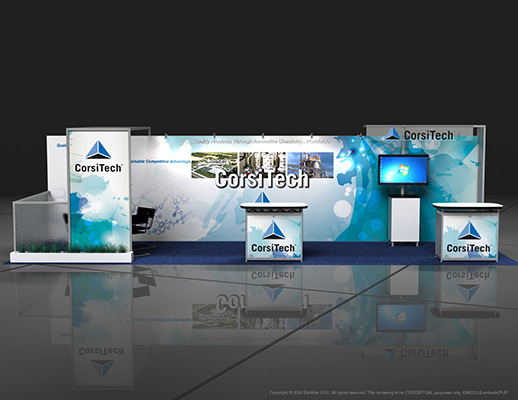 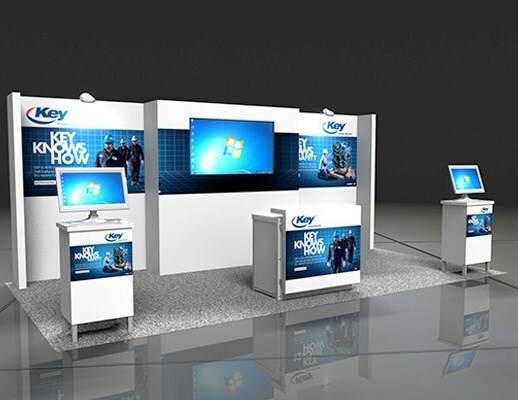 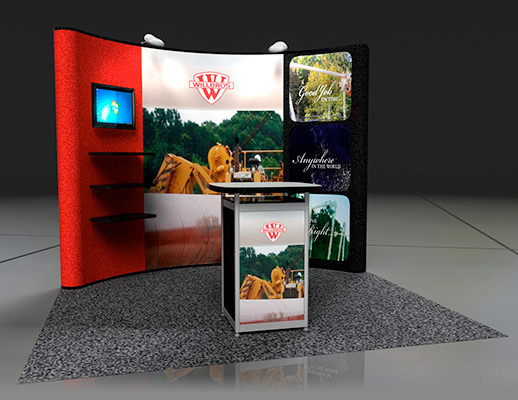 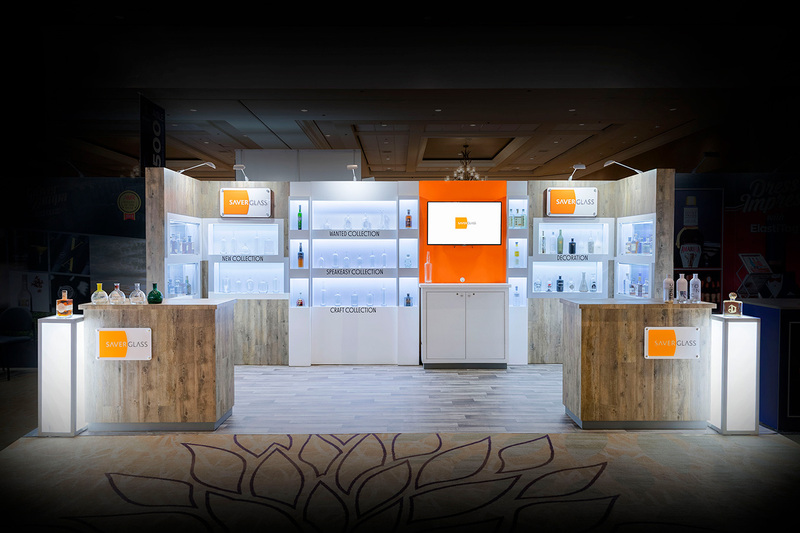 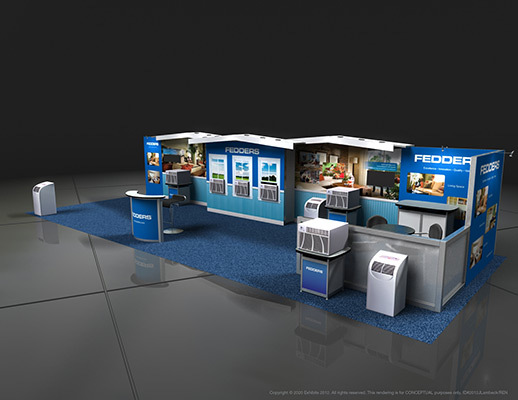 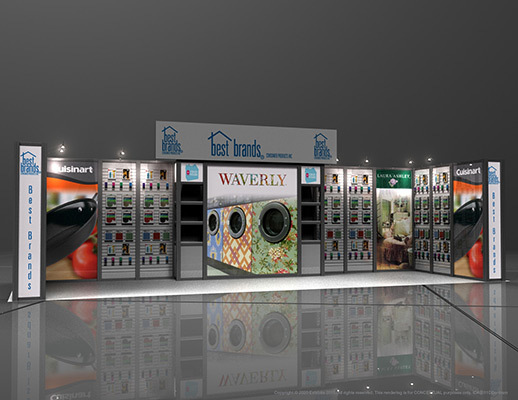 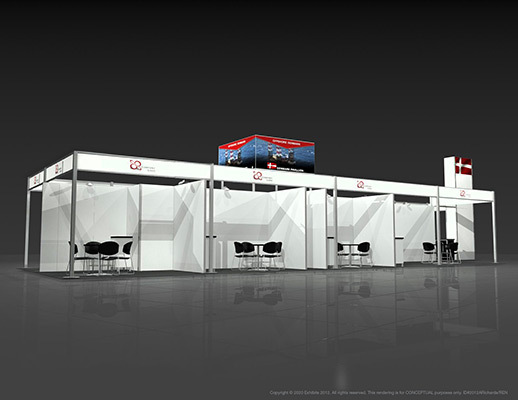 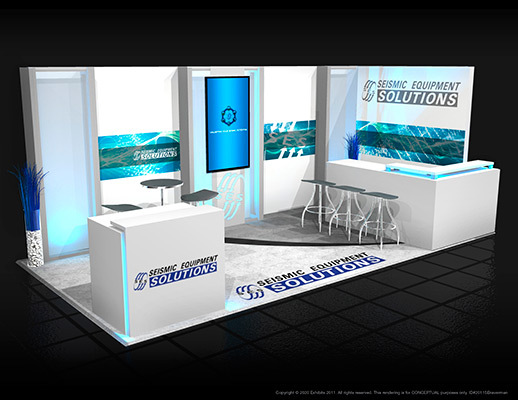 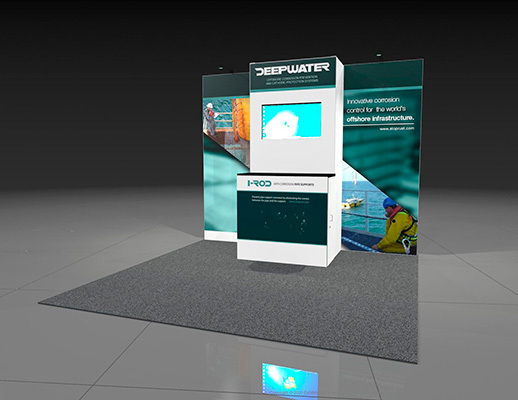 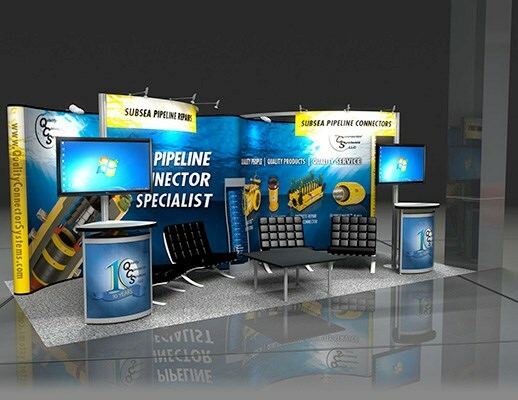 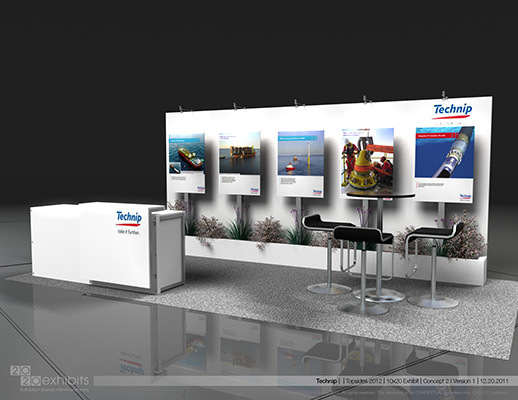 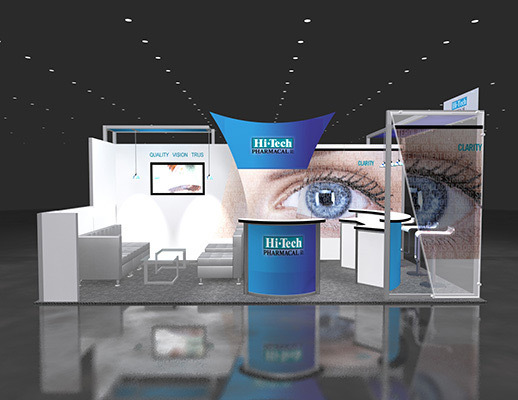 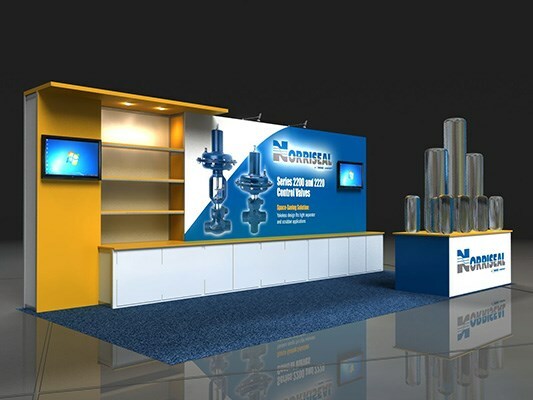 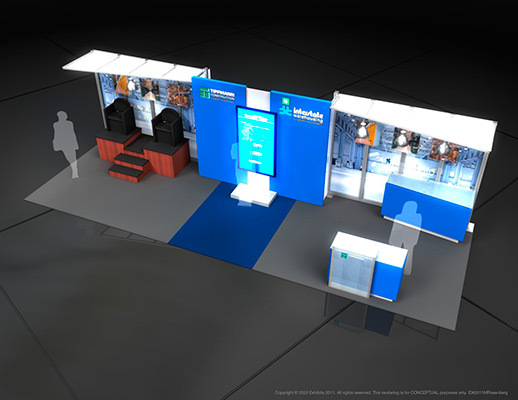 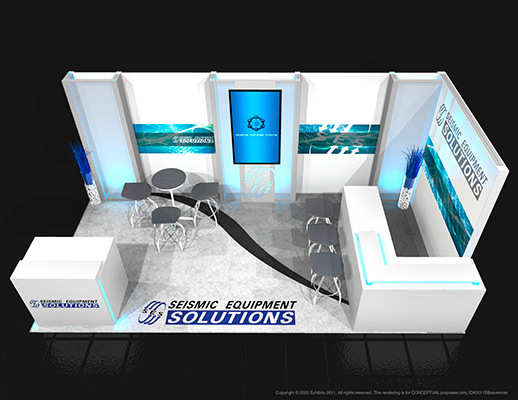 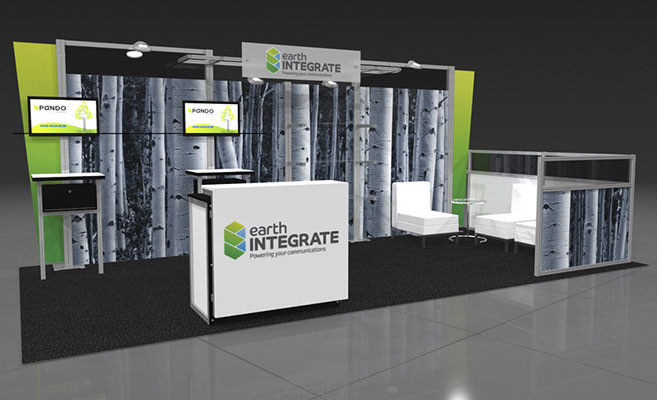 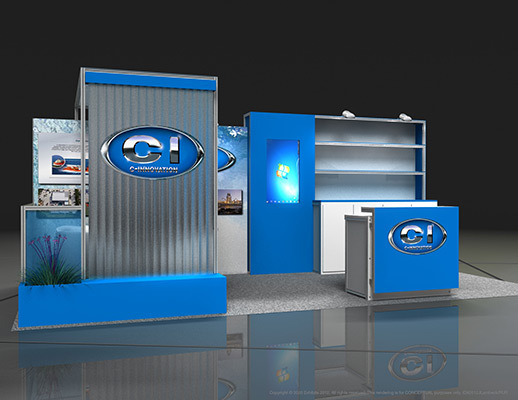 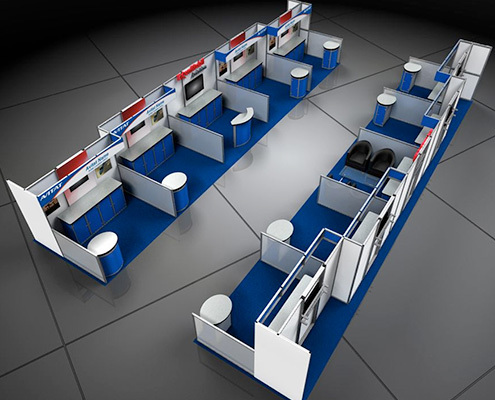 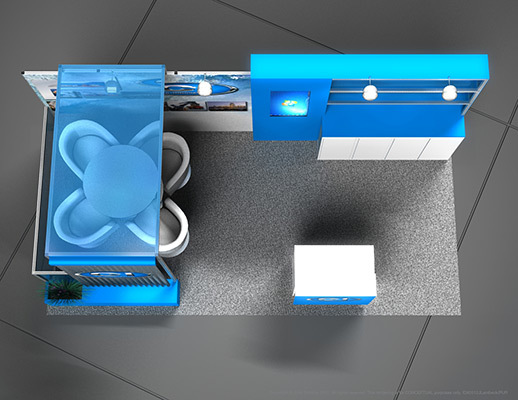 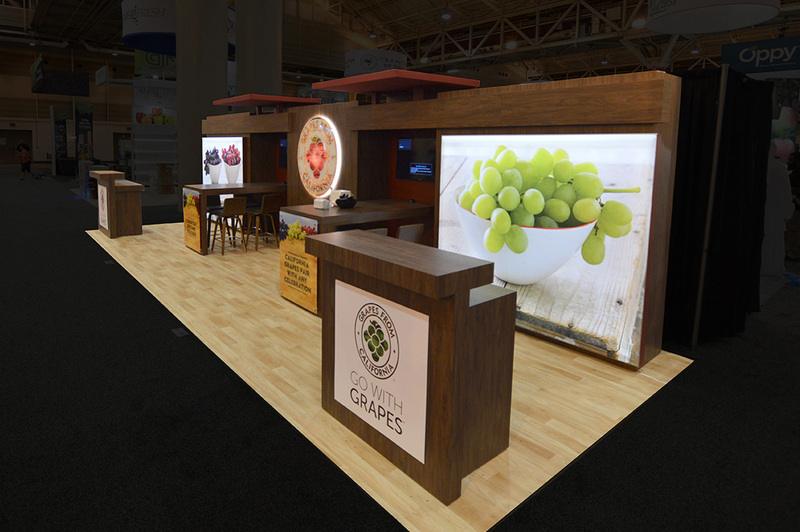 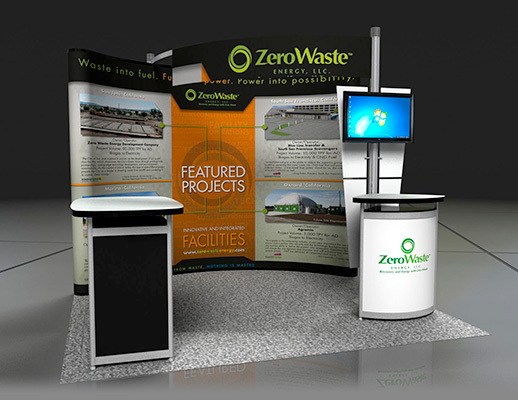 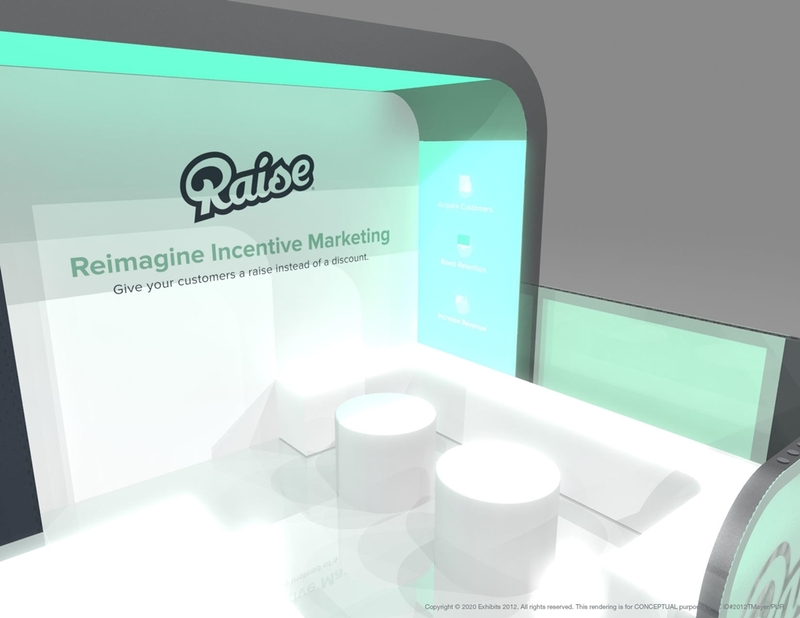 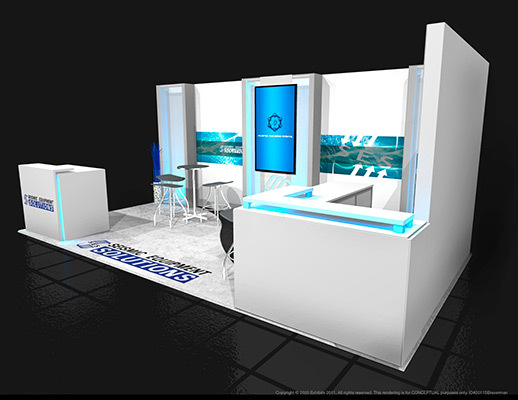 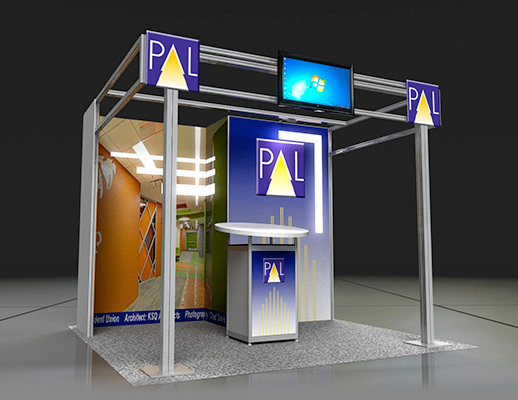 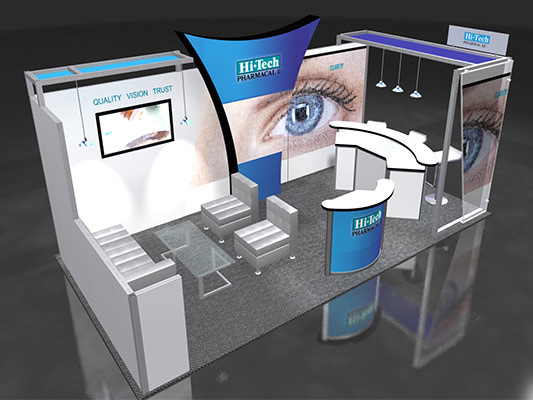 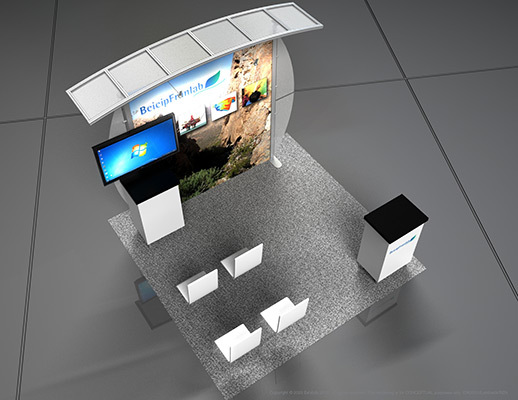 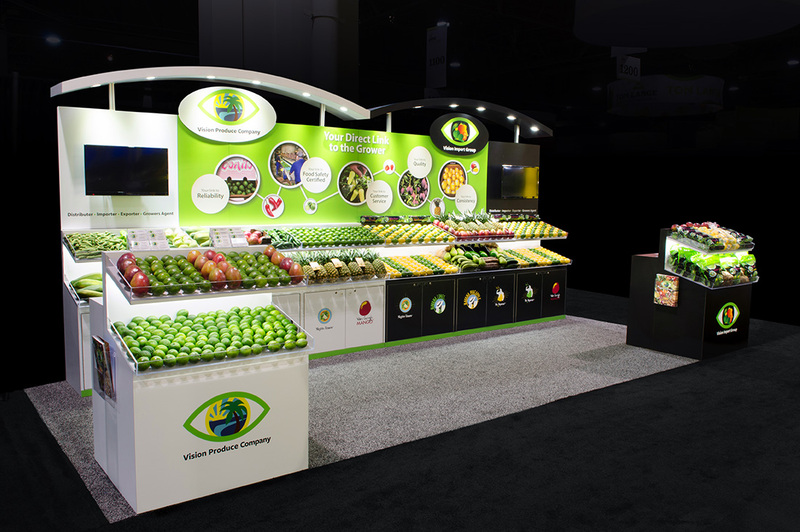 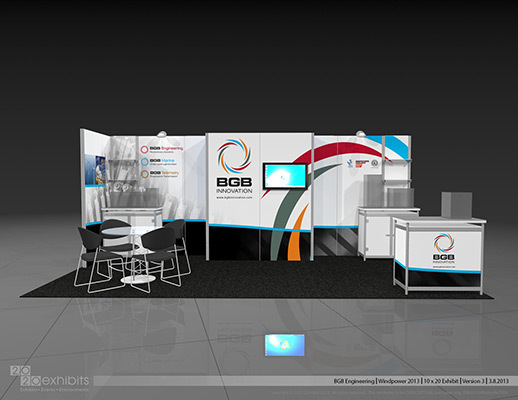 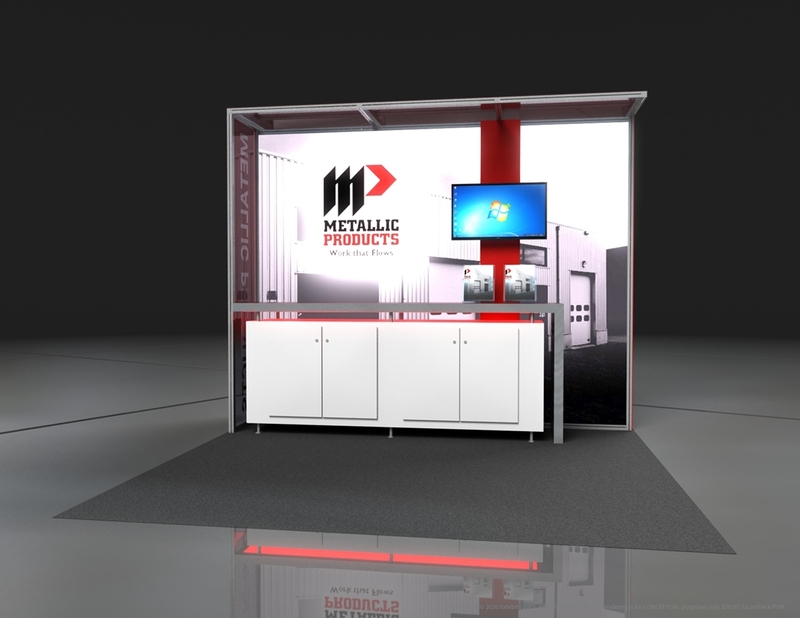 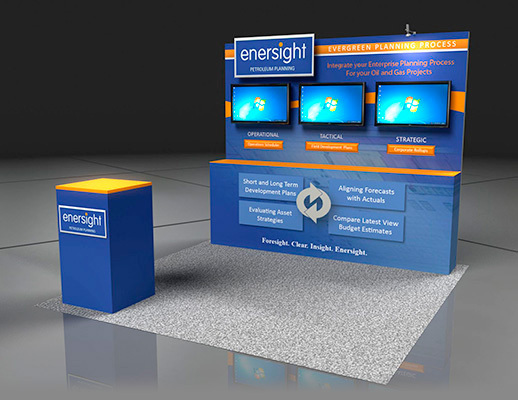 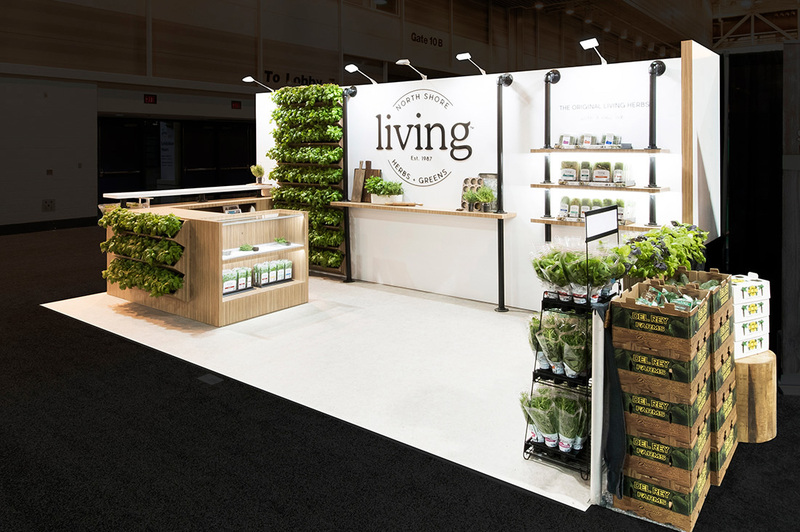 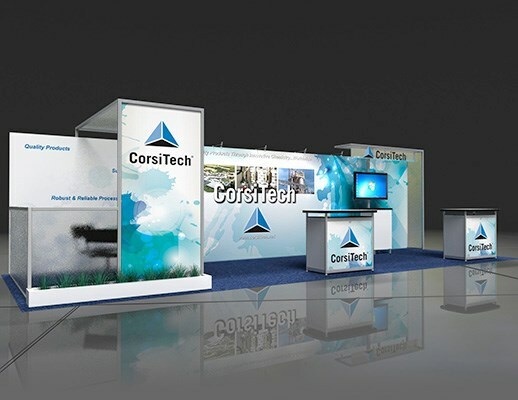 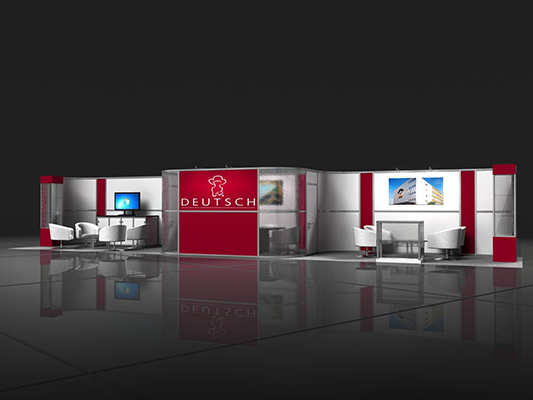 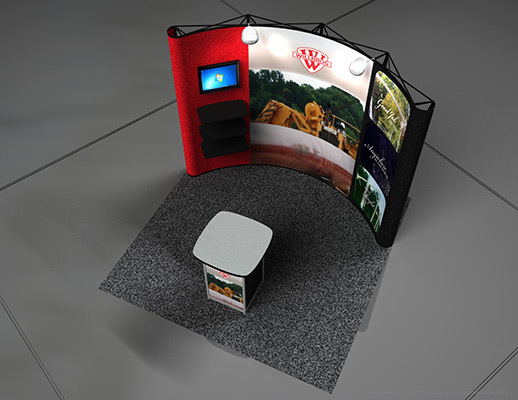 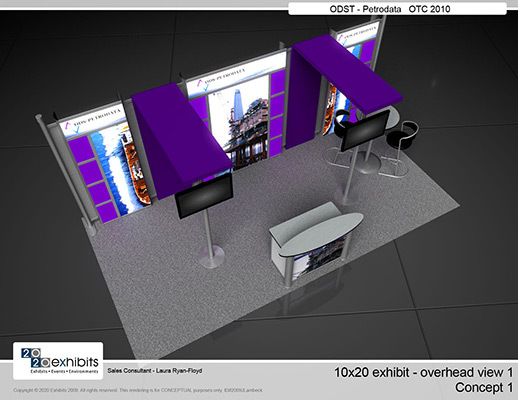 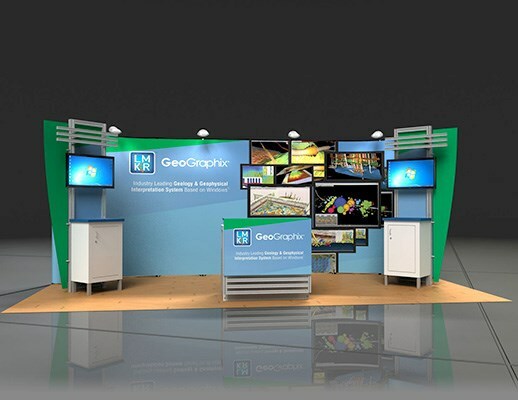 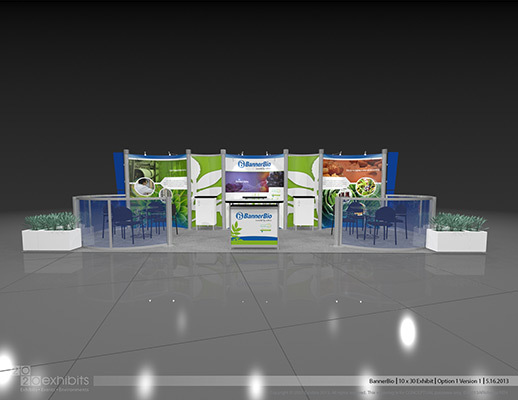 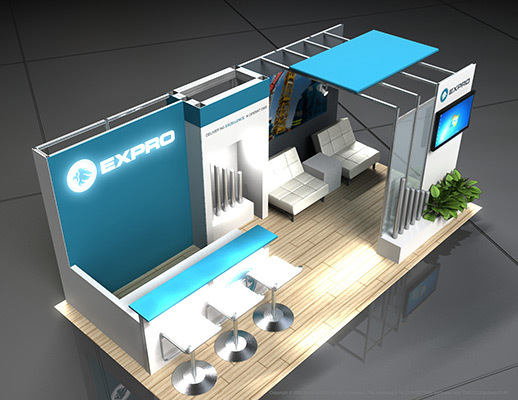 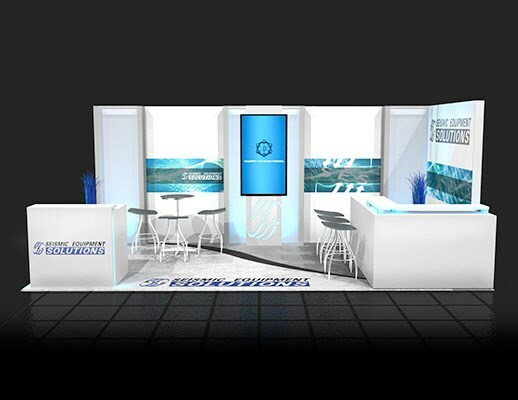 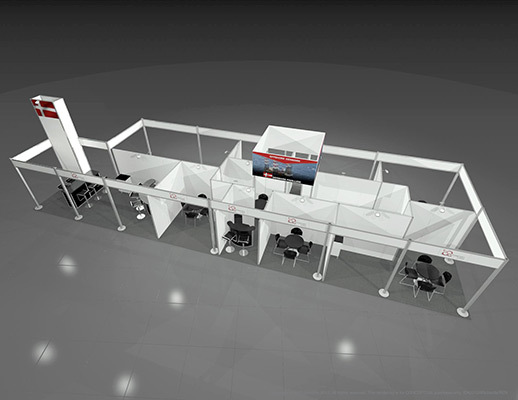 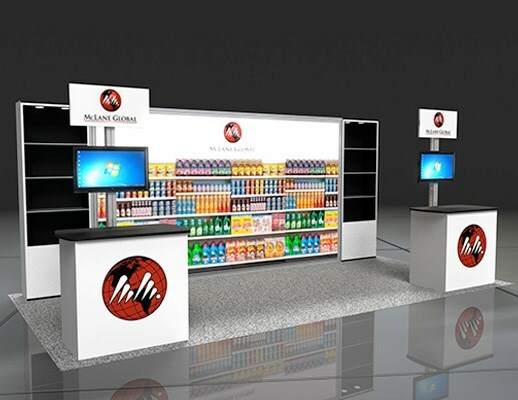 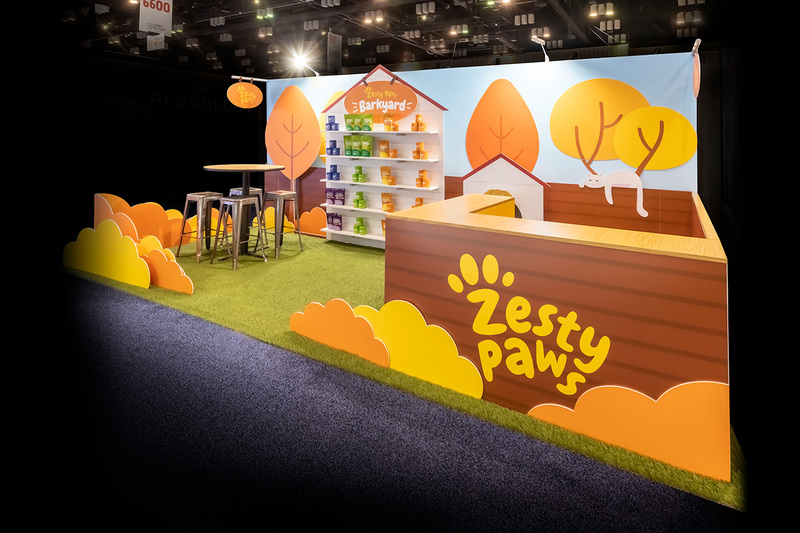 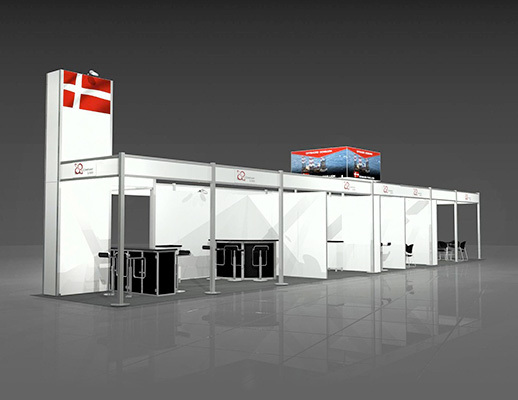 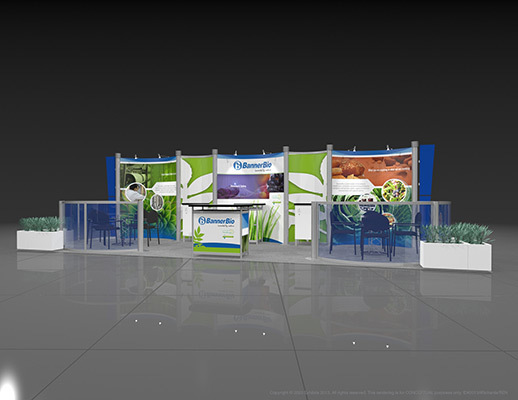 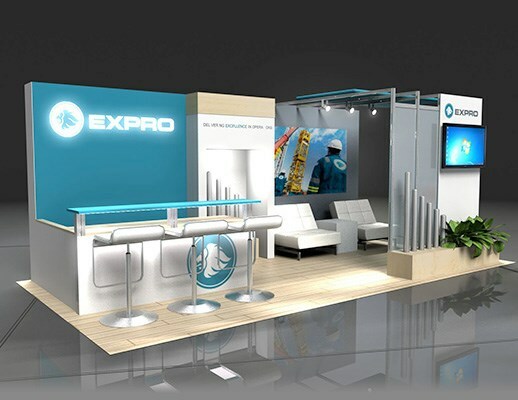 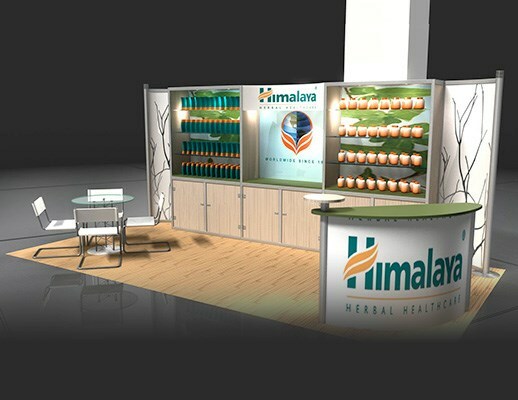 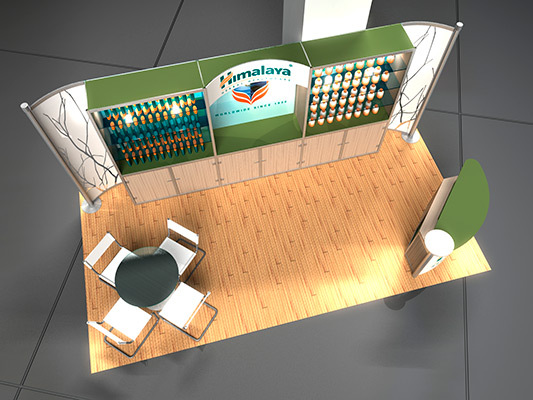 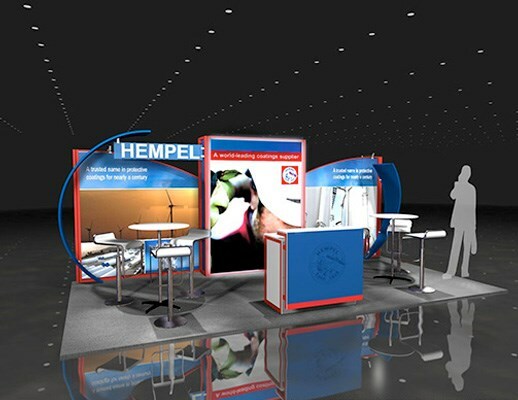 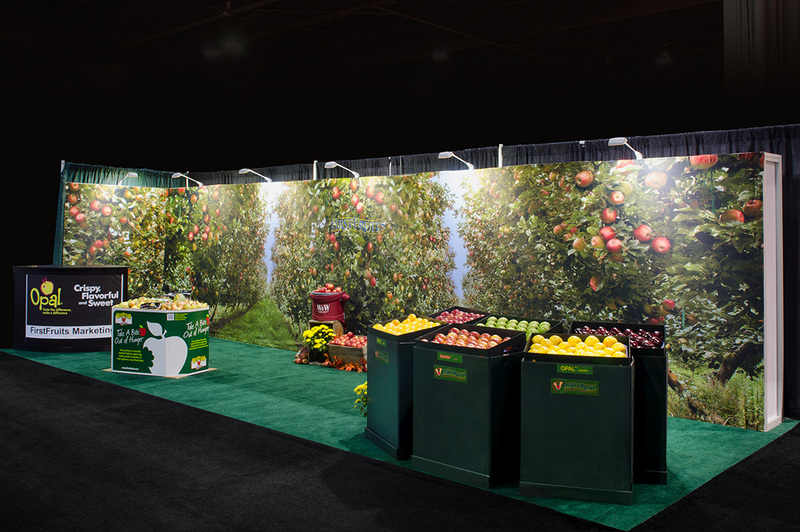 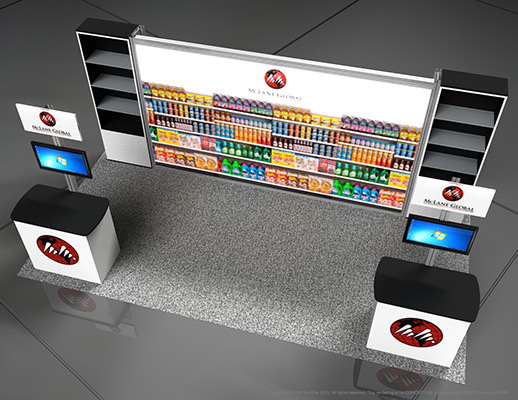 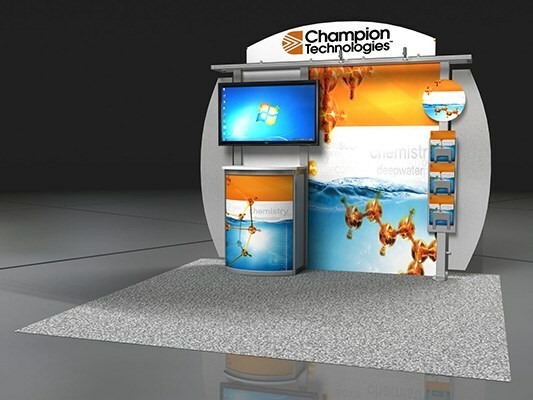 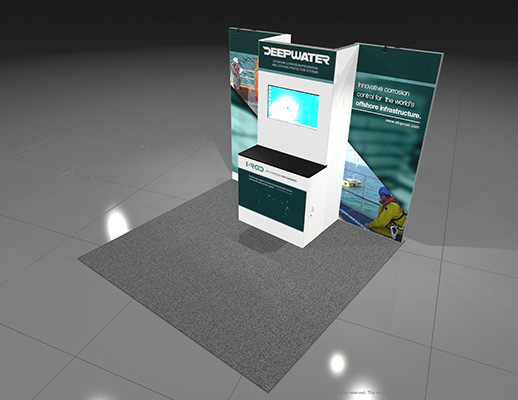 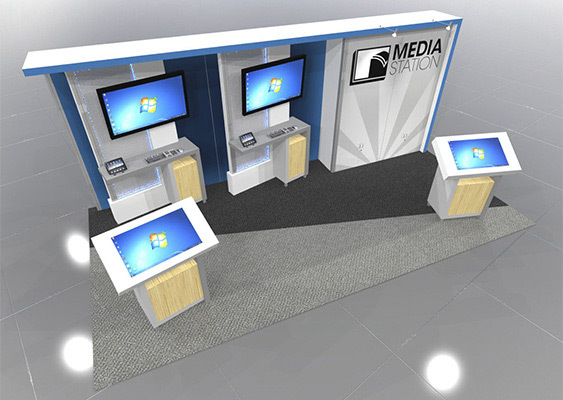 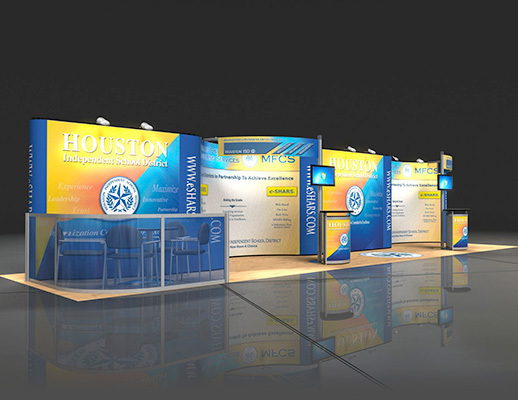 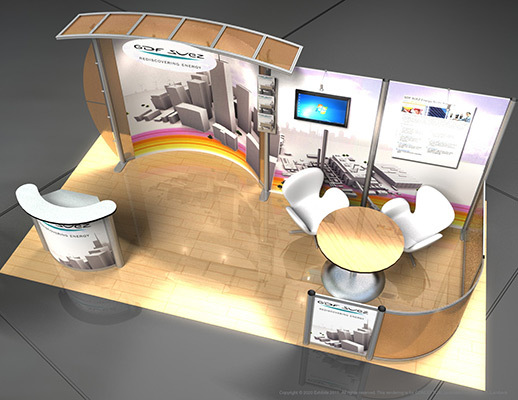 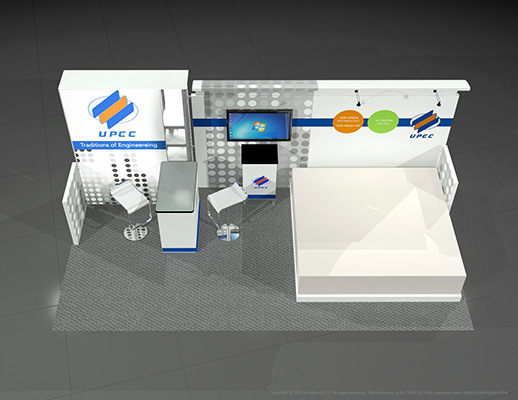 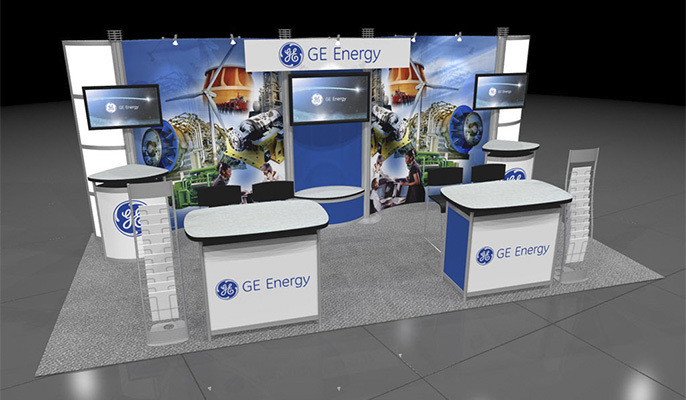 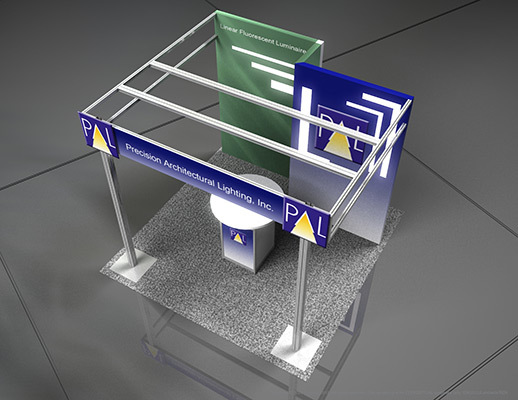 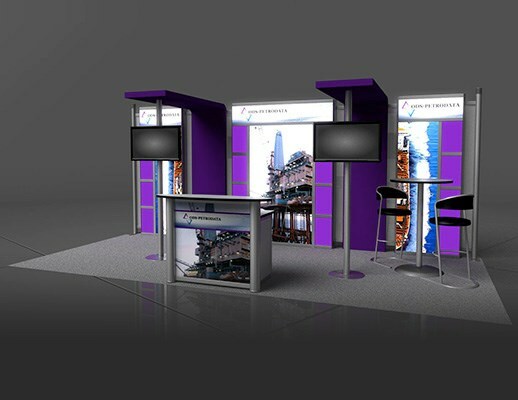 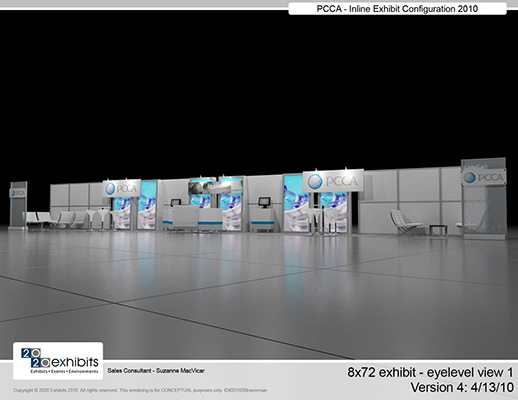 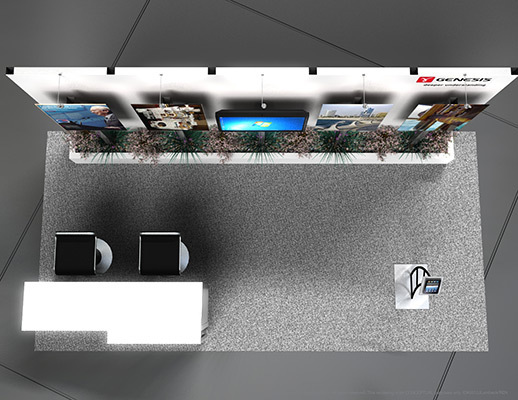 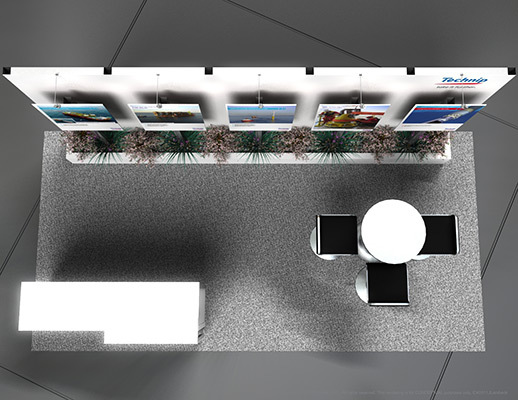 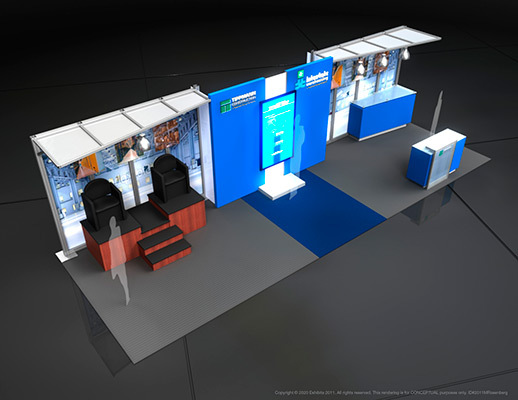 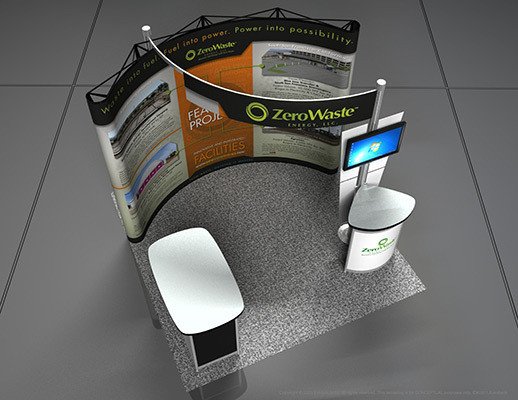 Sleek and modern, complete multiple bright counter bar designs encouraging an inviting, lounge feel to this large inline exhibit display. 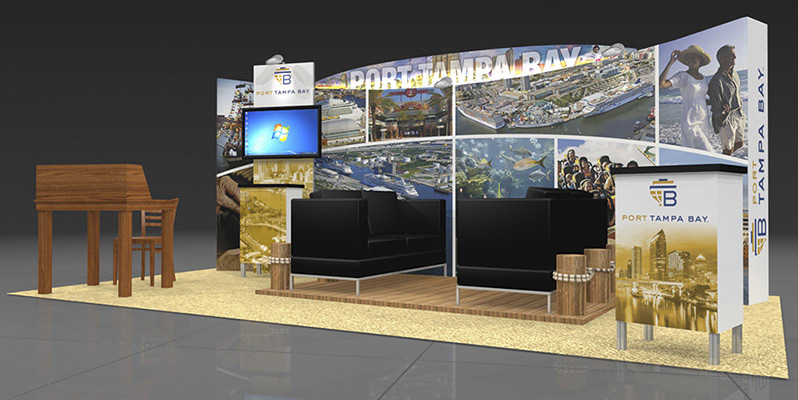 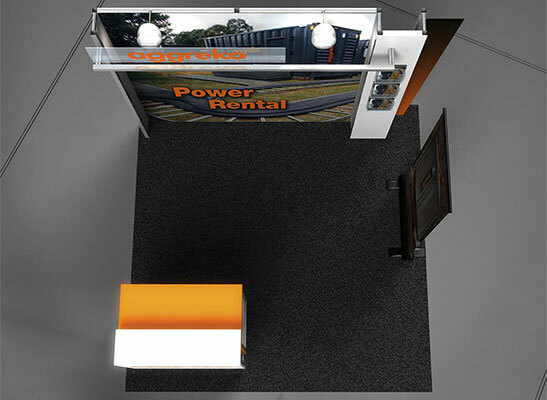 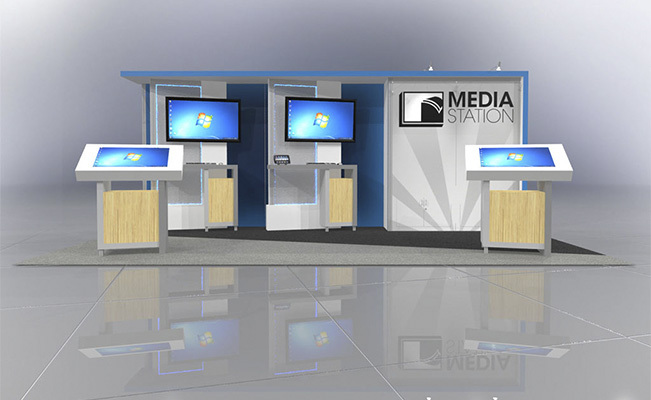 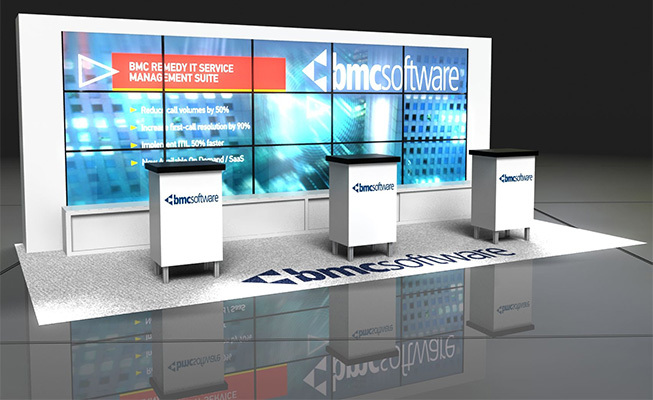 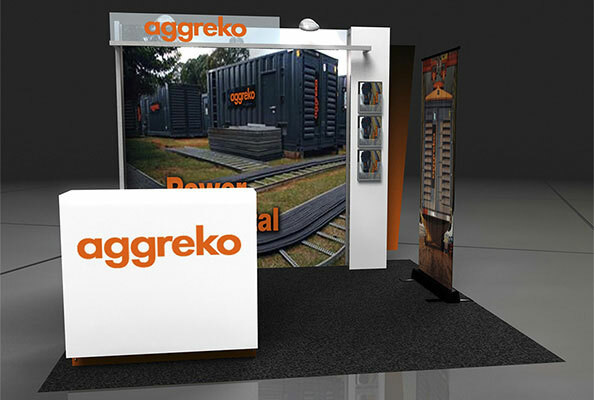 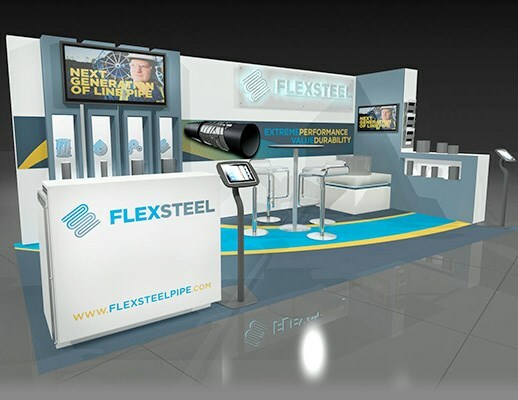 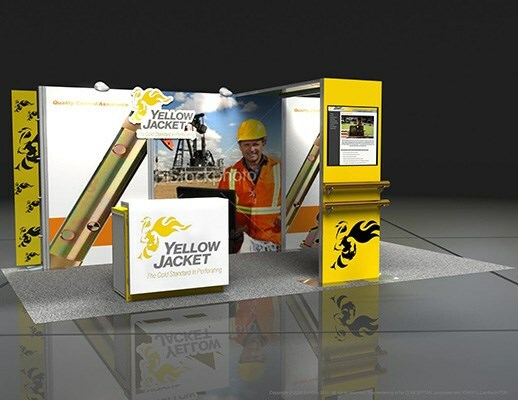 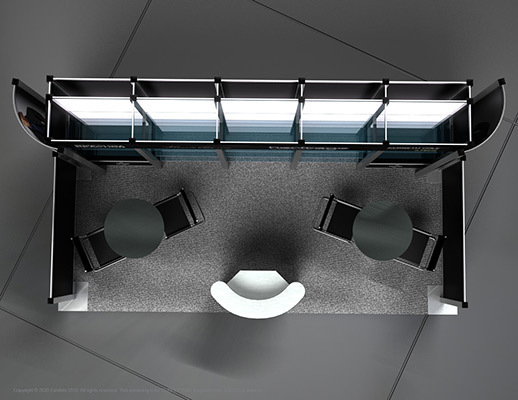 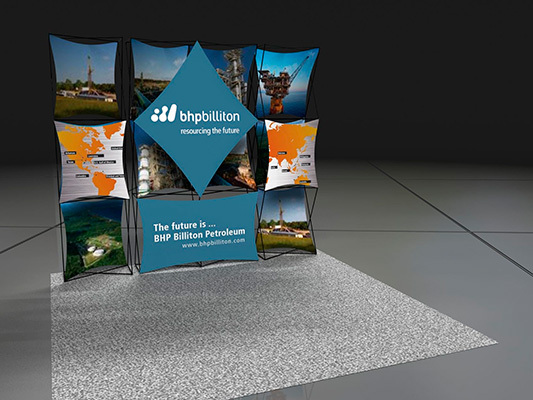 Features include: prominent logo graphic sign, overhead lighting, multiple bars, lounge seating, open conference seating, graphic backdrops, video monitors, carpeted inlay and clean style.